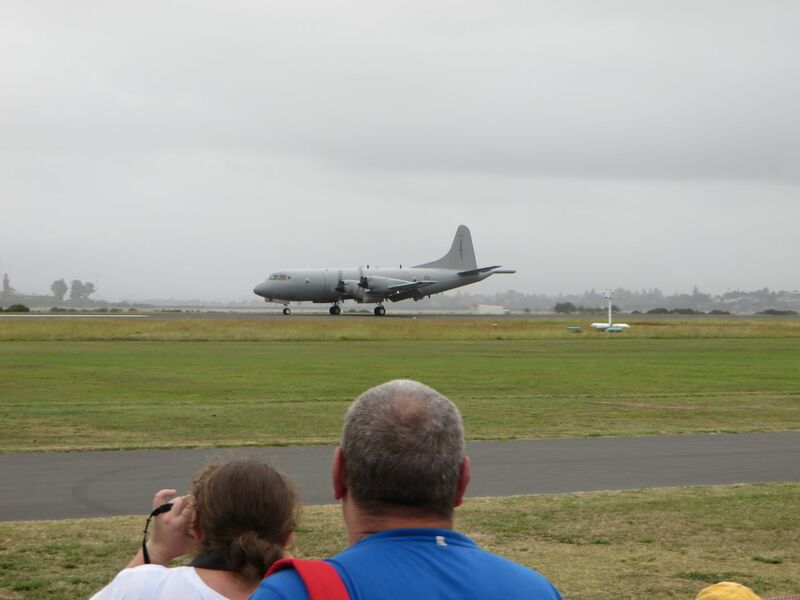 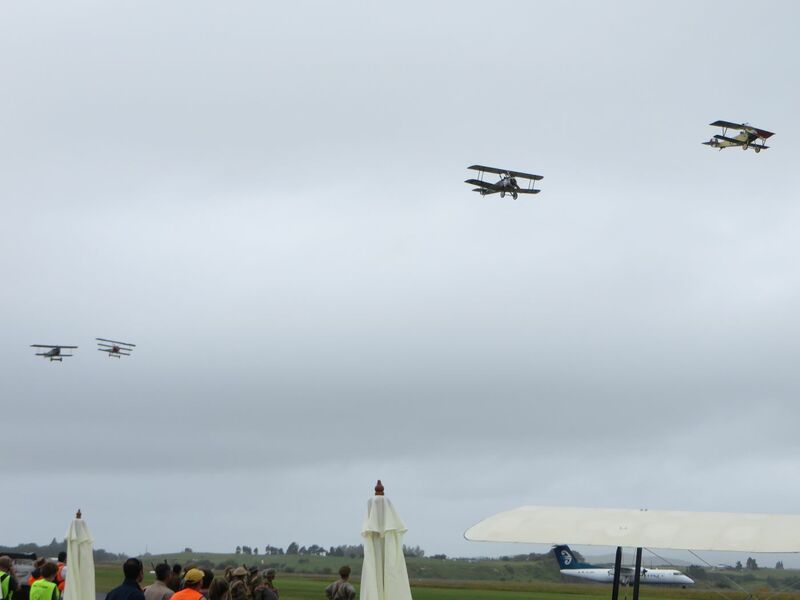 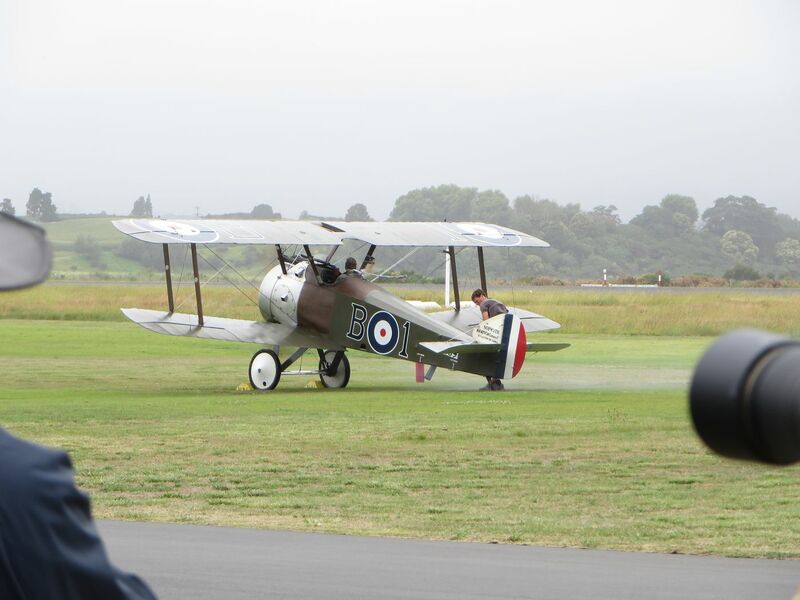 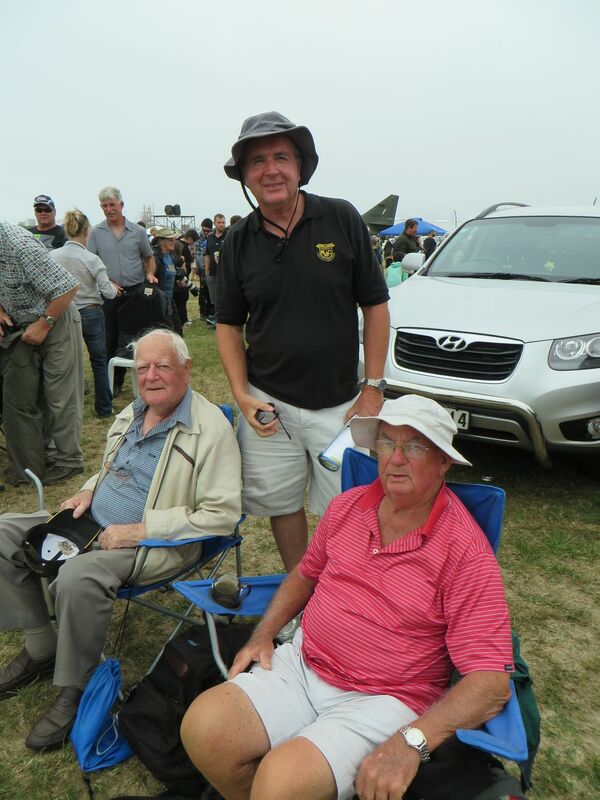 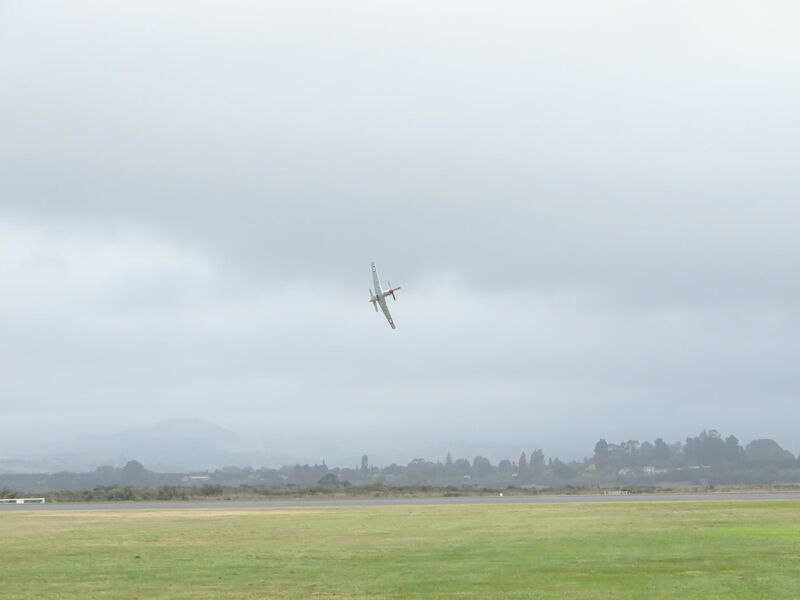 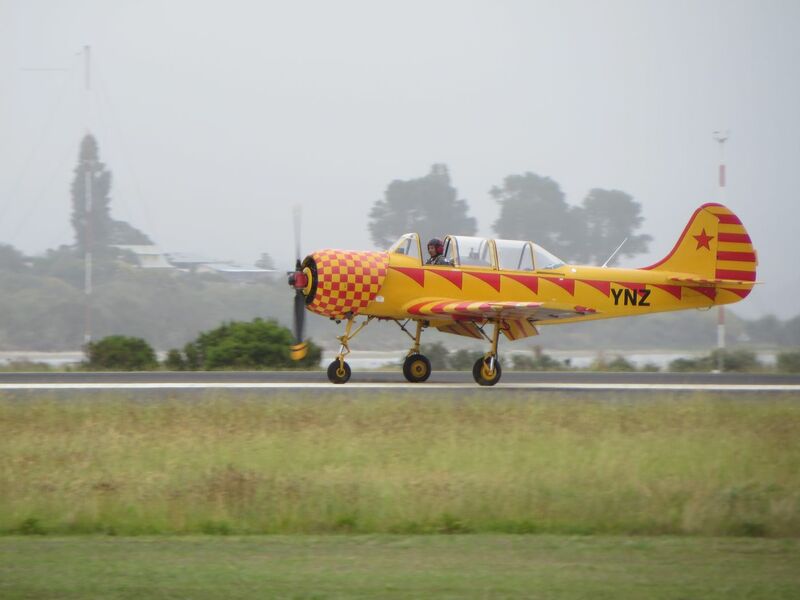 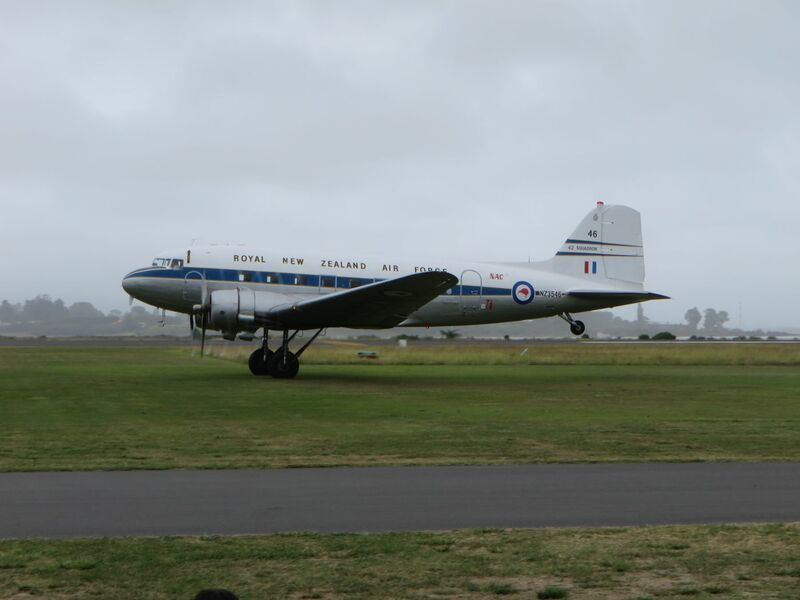 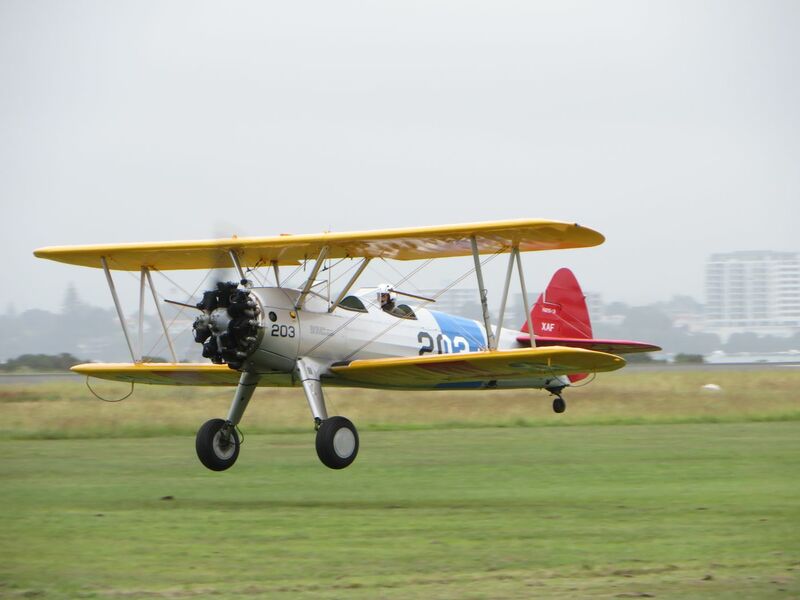 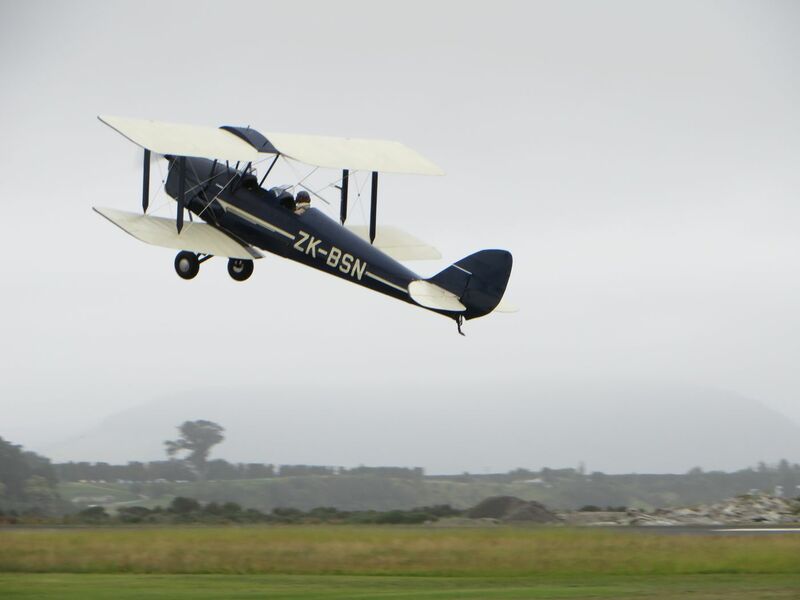 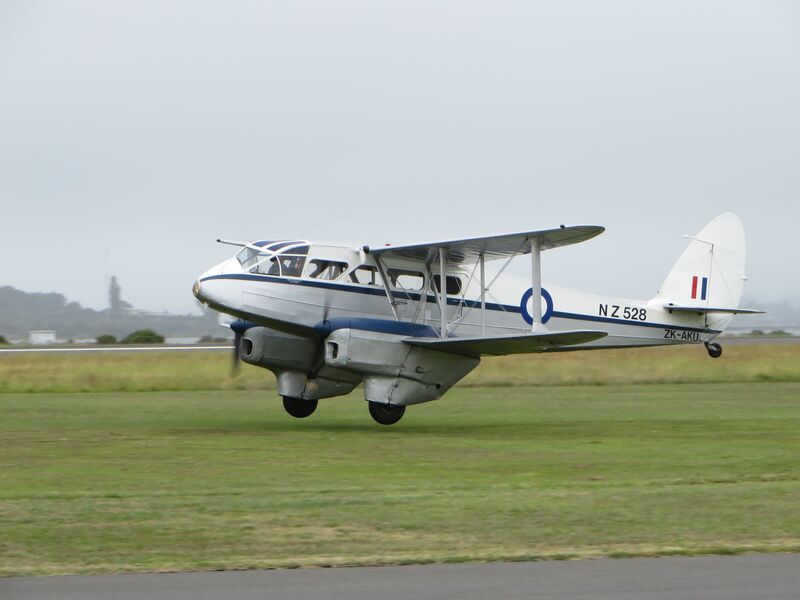 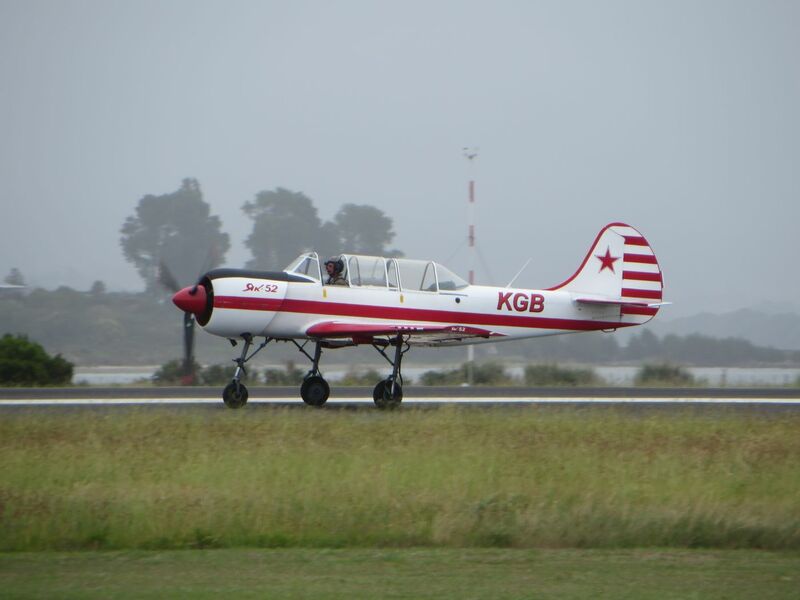 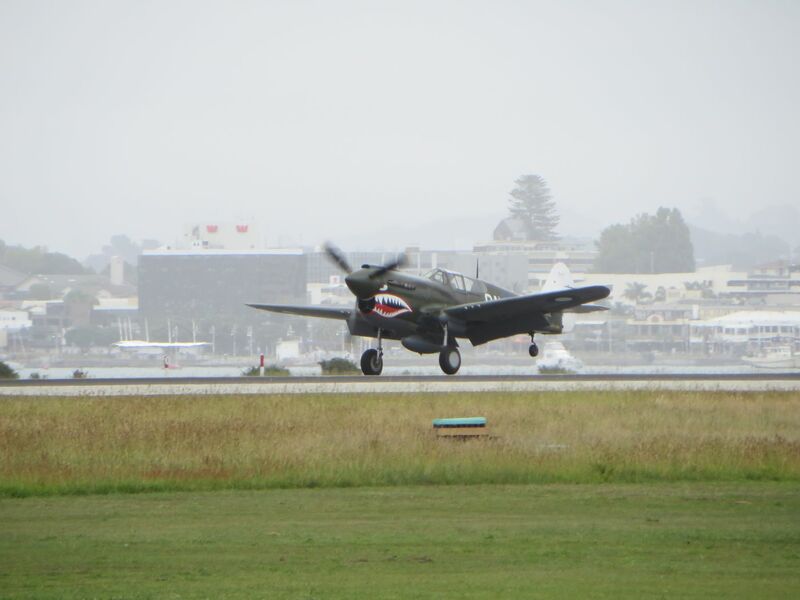 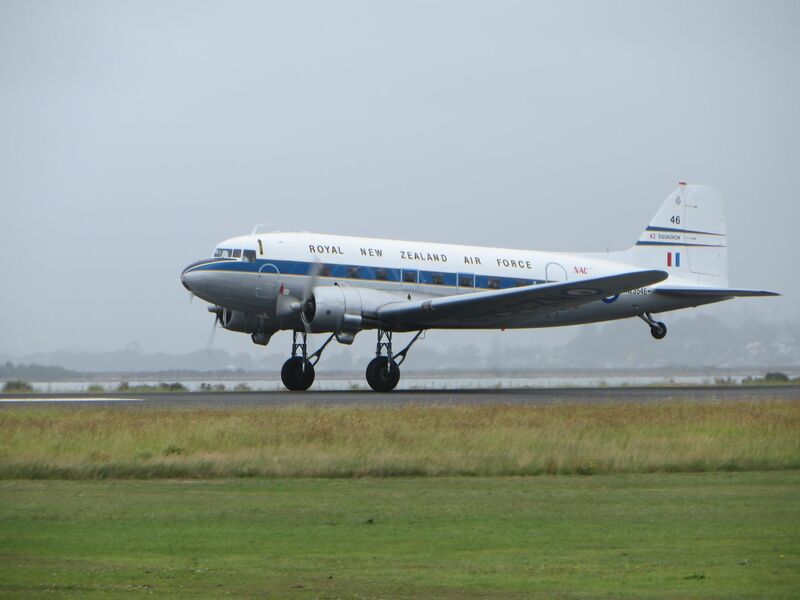 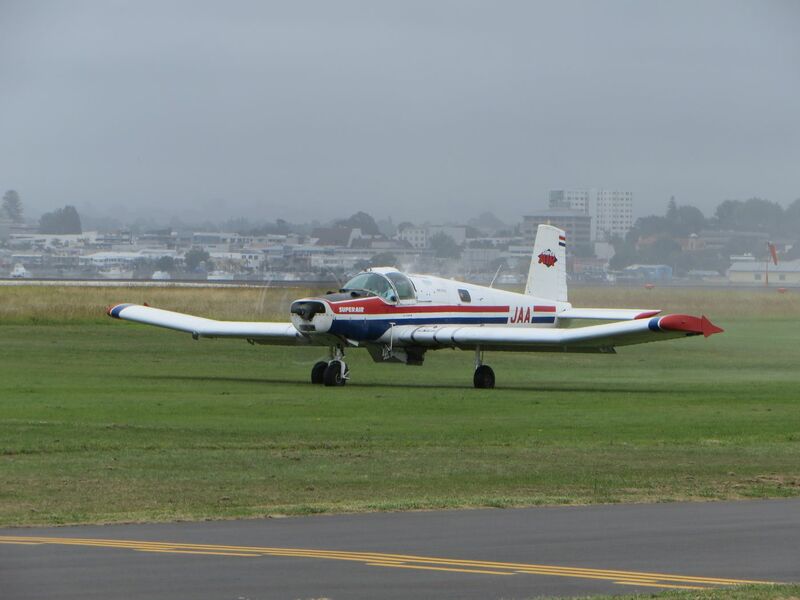 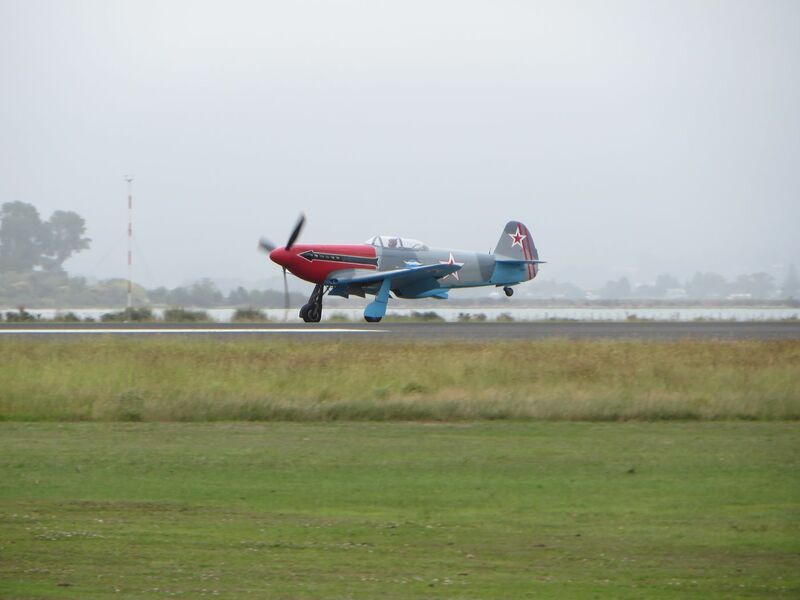 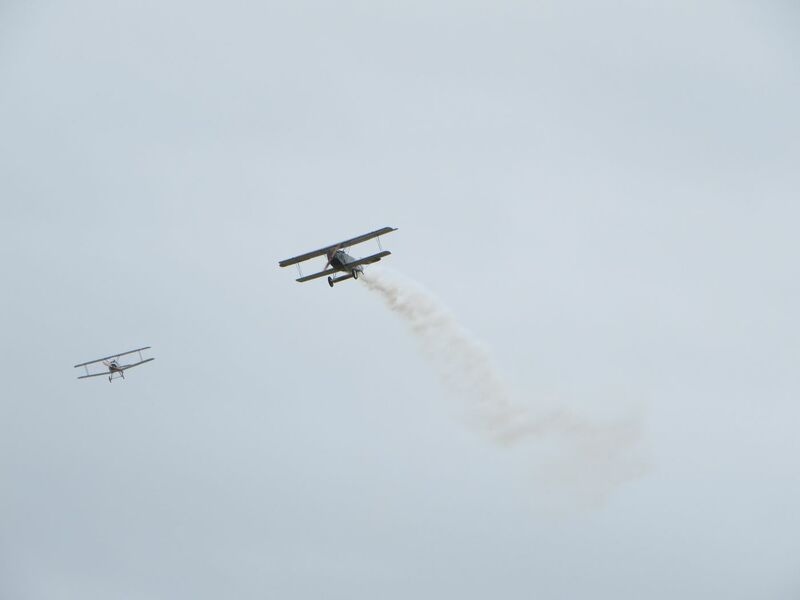 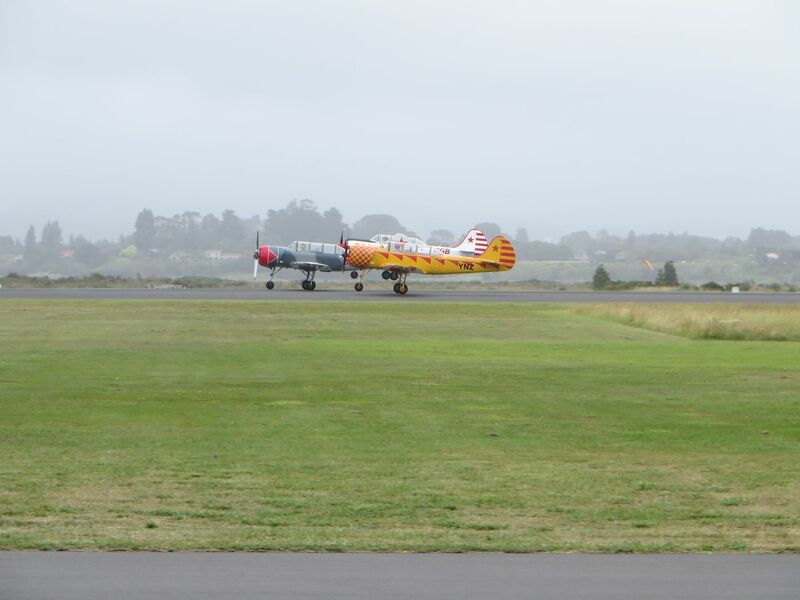 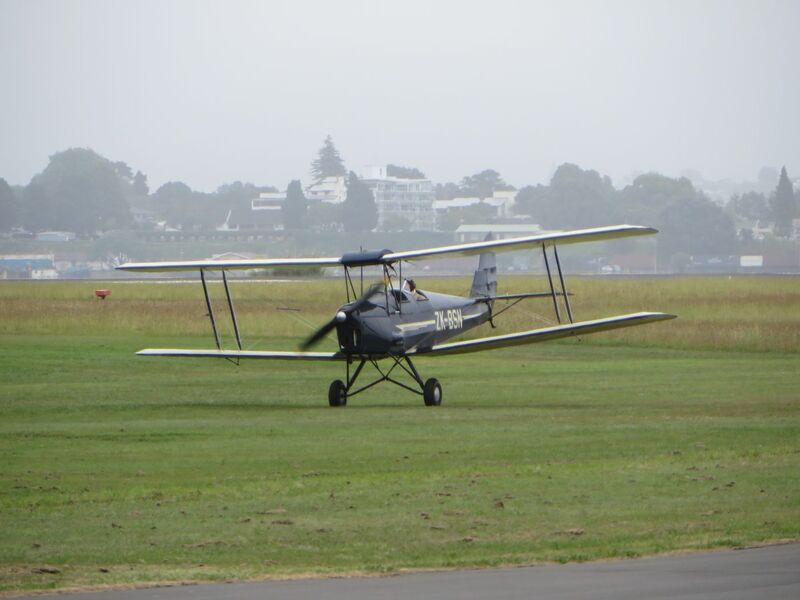 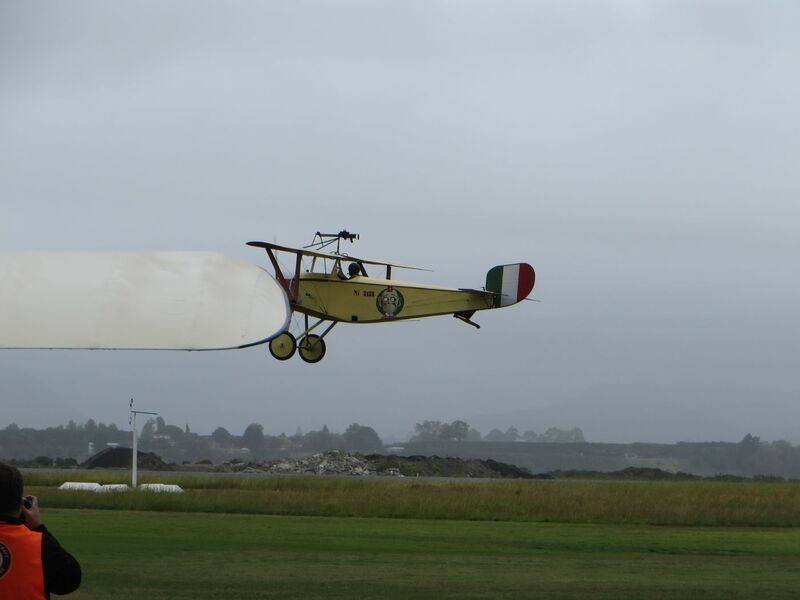 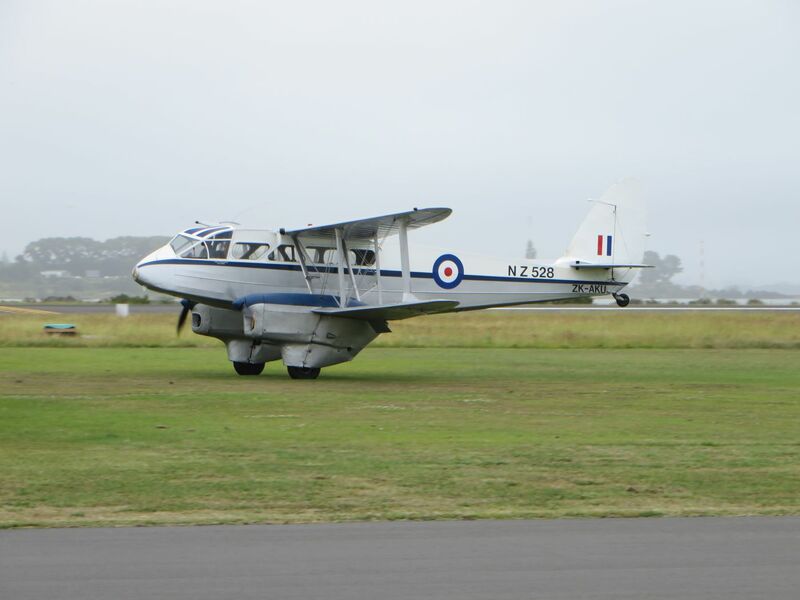 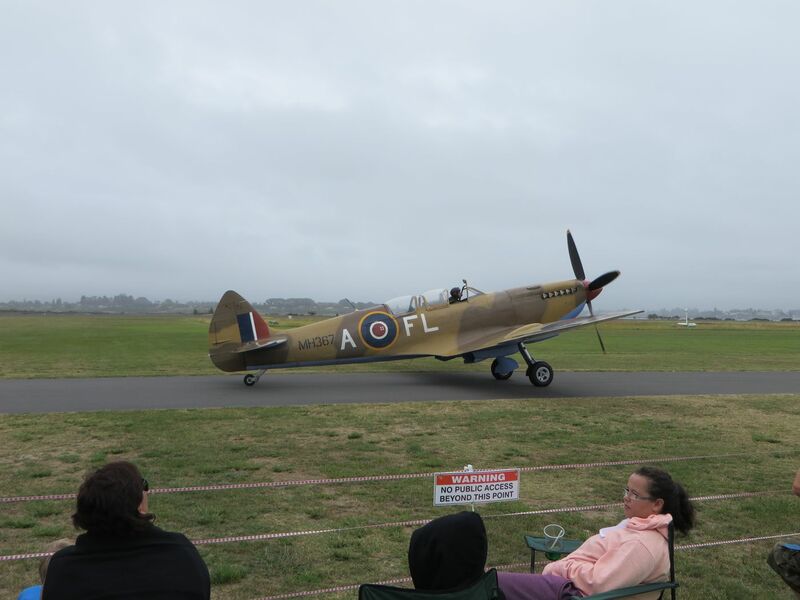 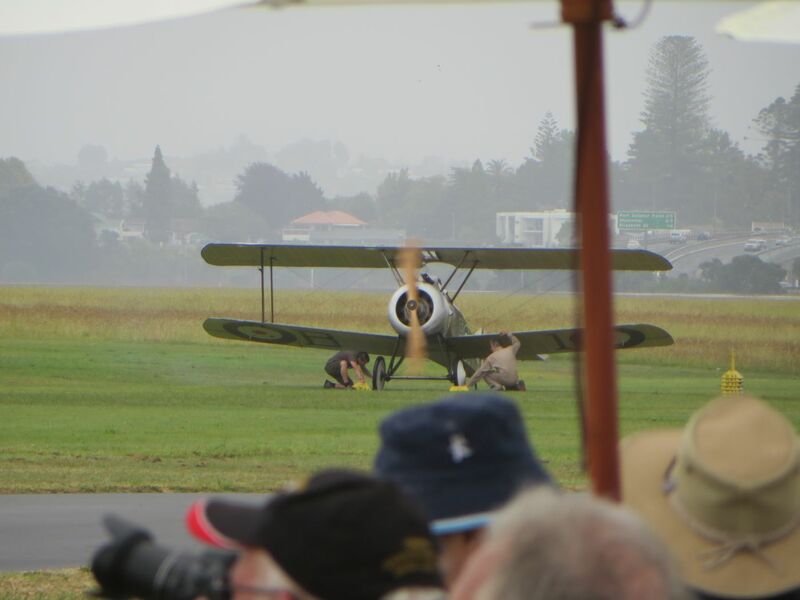 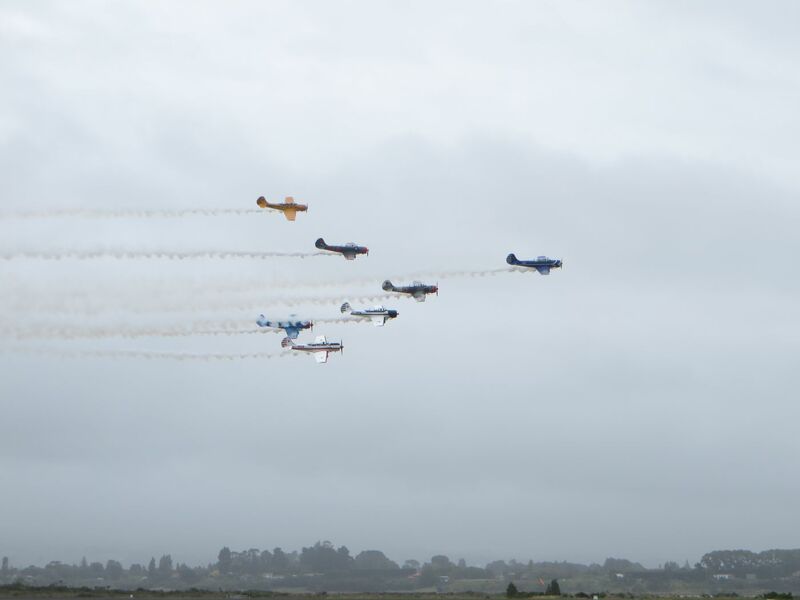 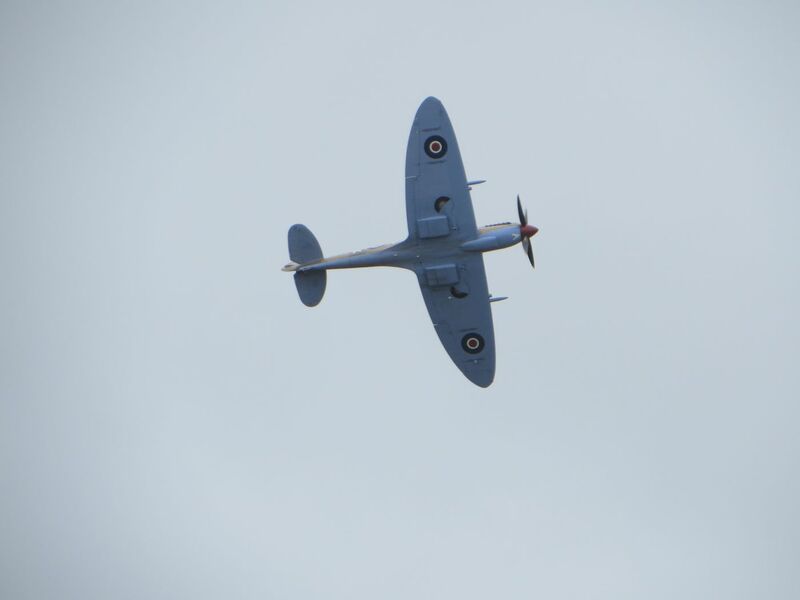 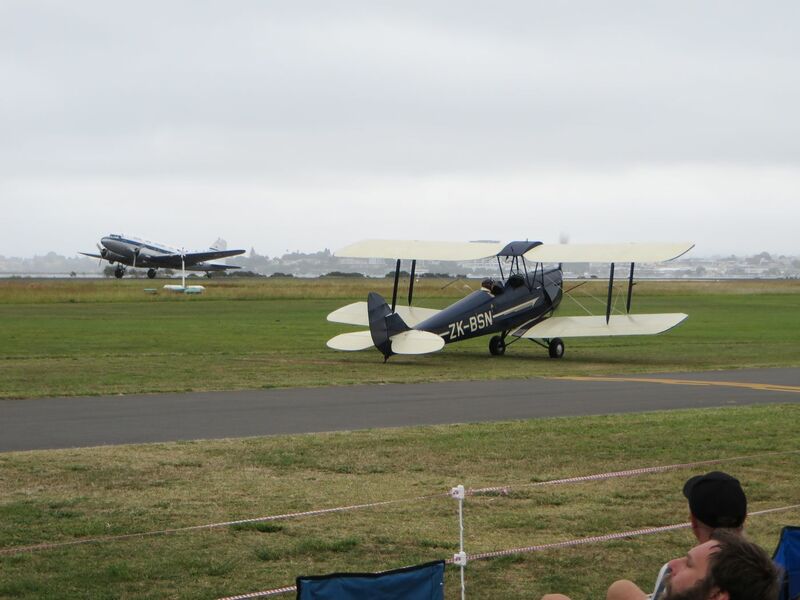 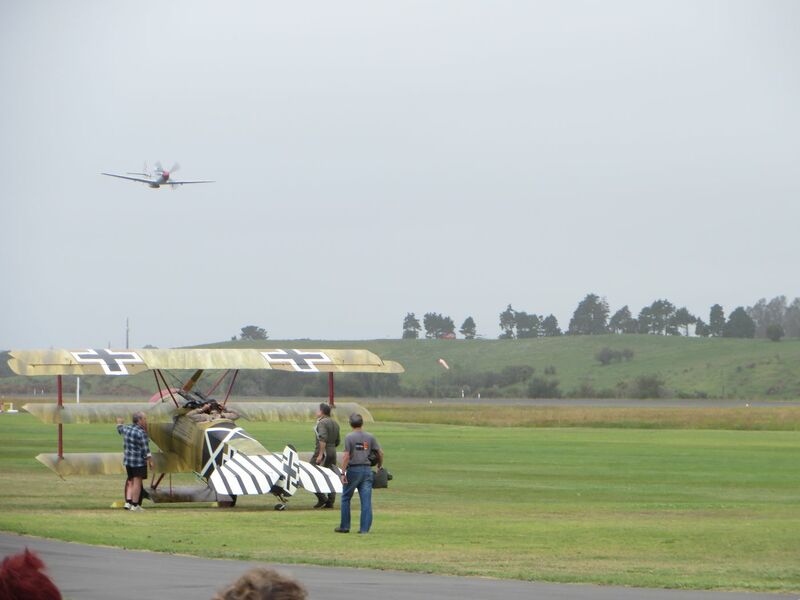 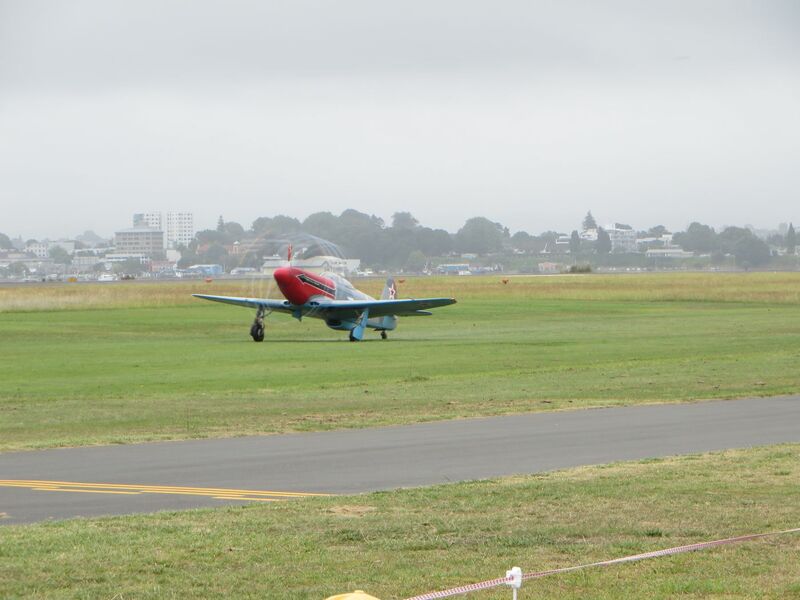 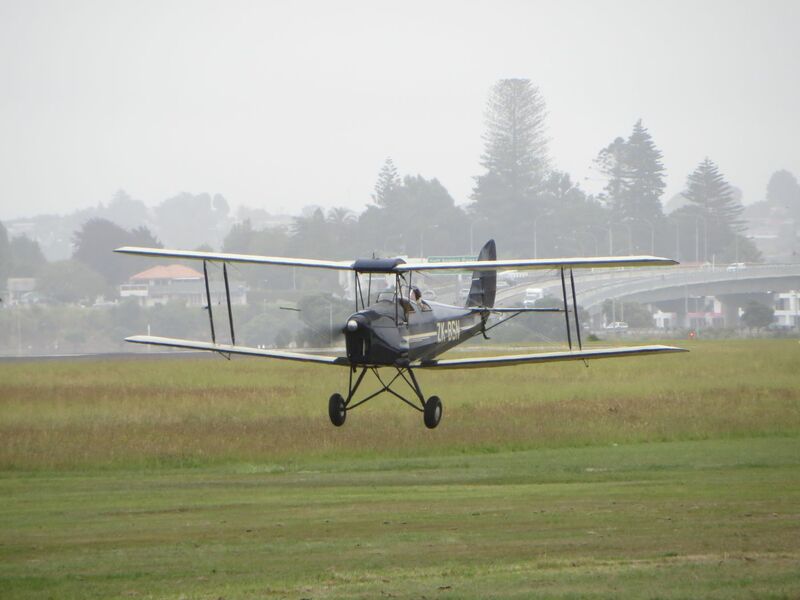 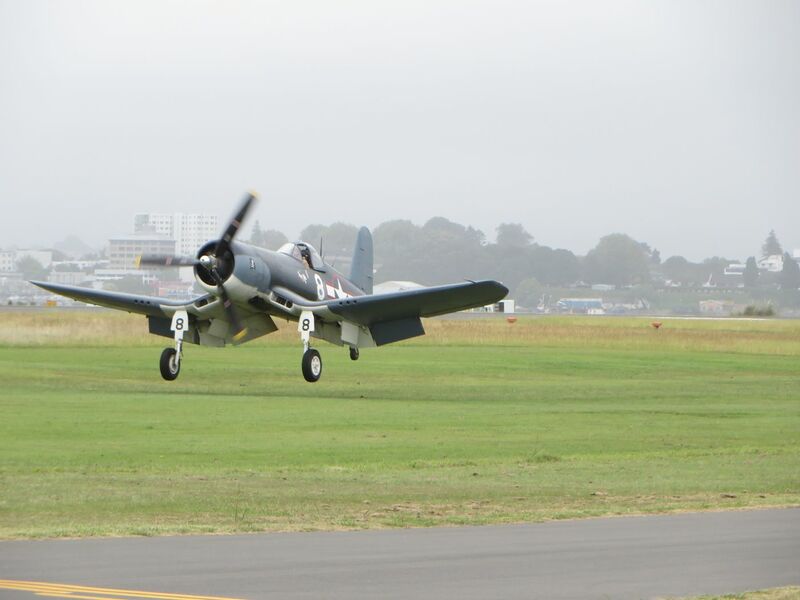 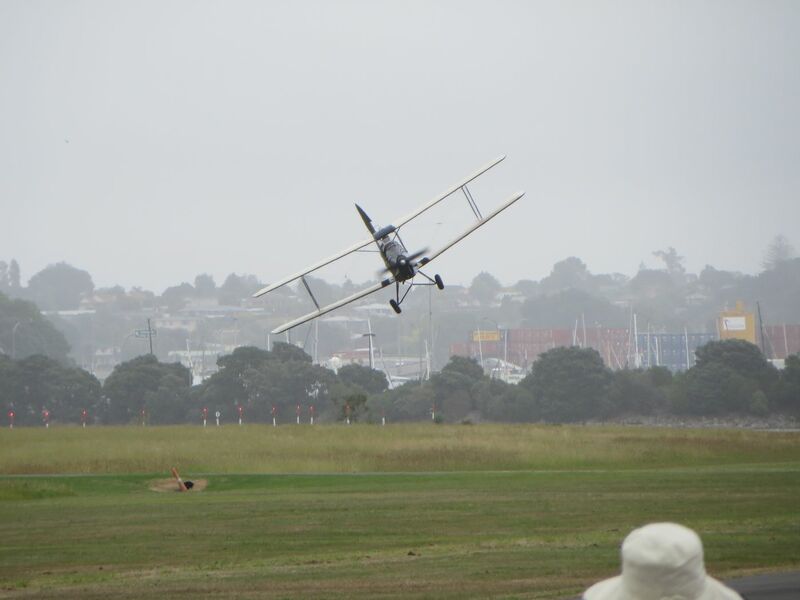 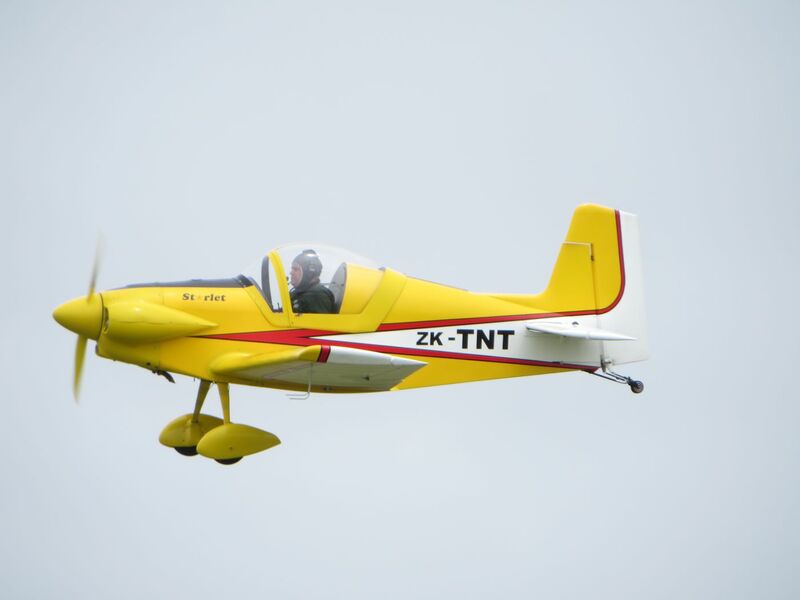 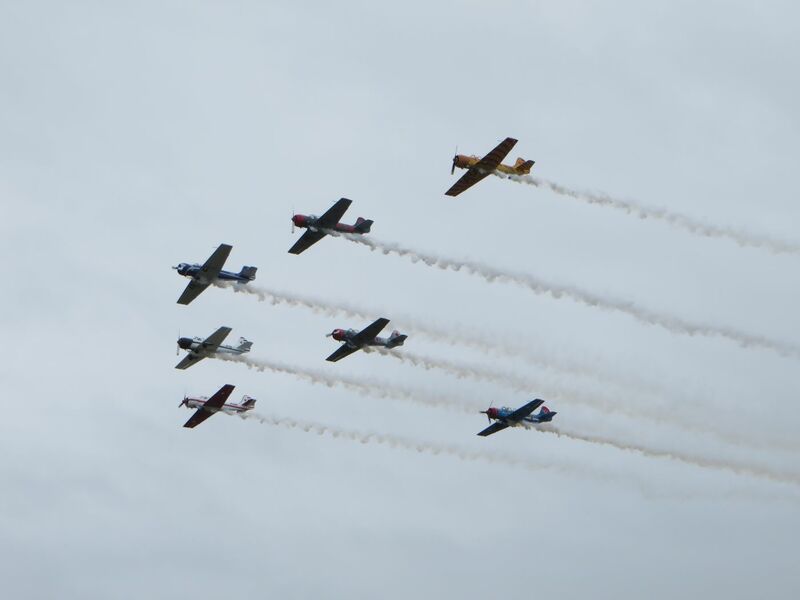 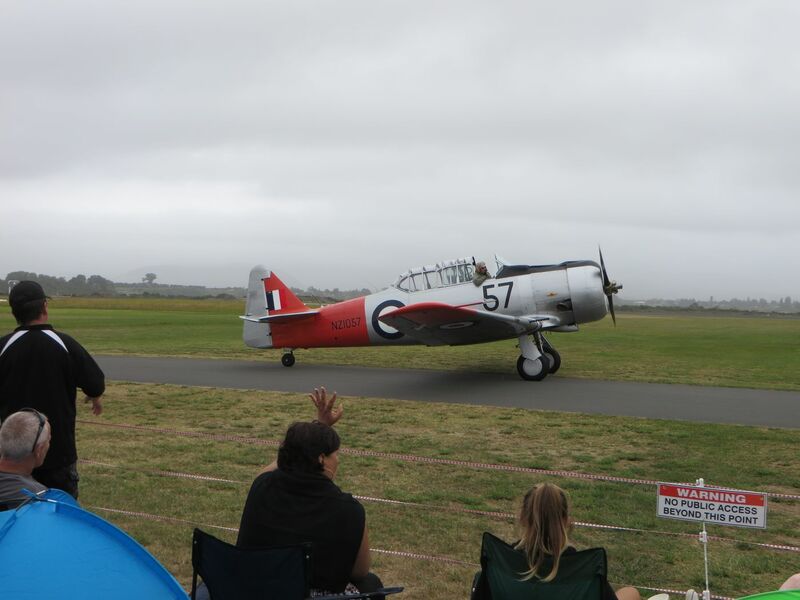 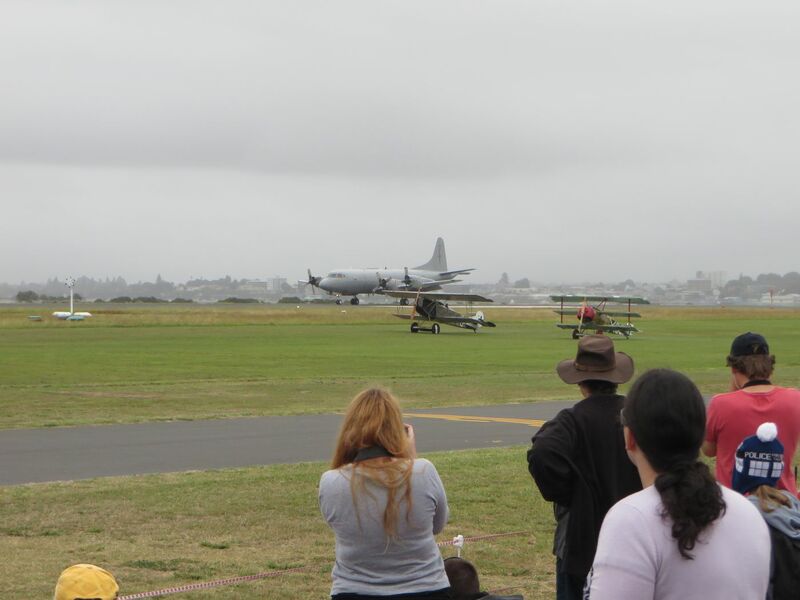 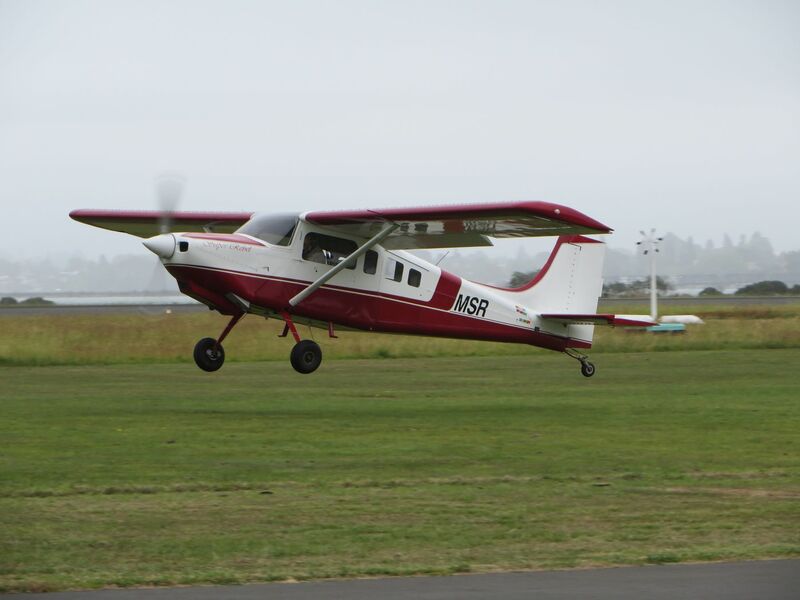 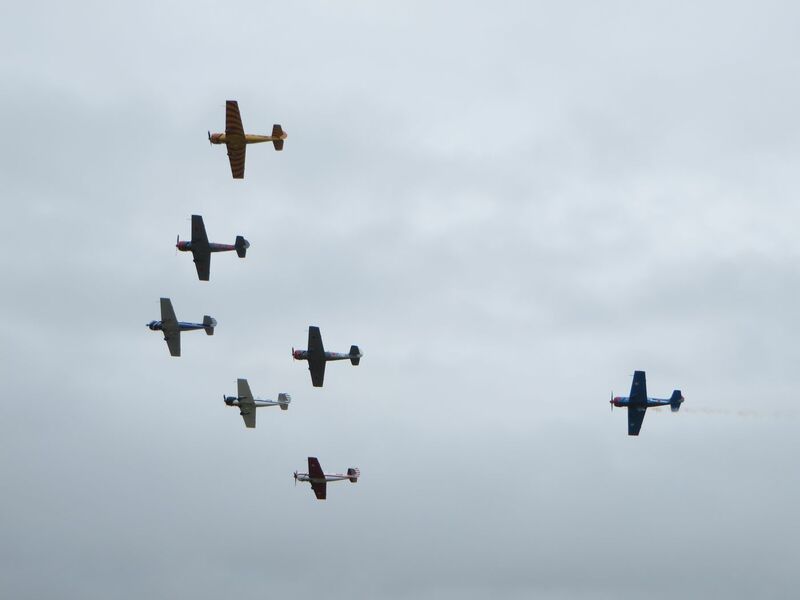 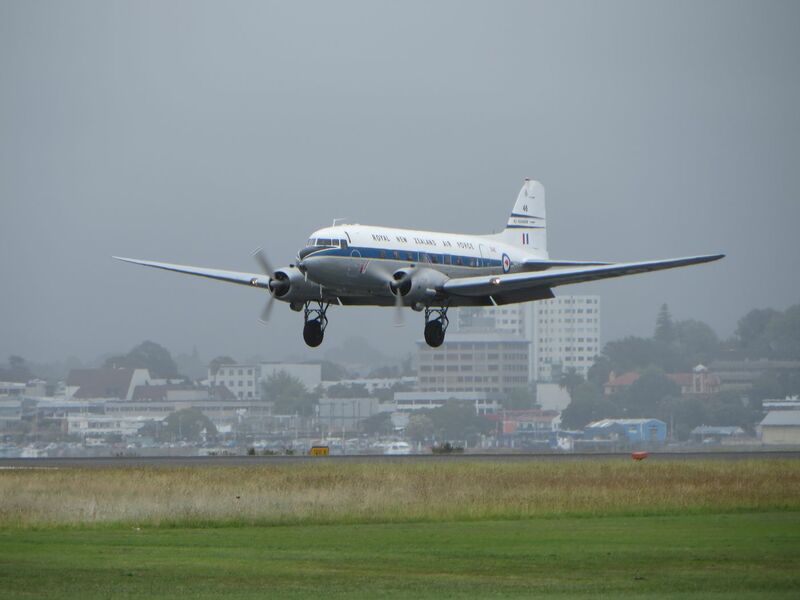 After a good breakfast I, Noel, Max and Peter drove to Tauranga Airshow. 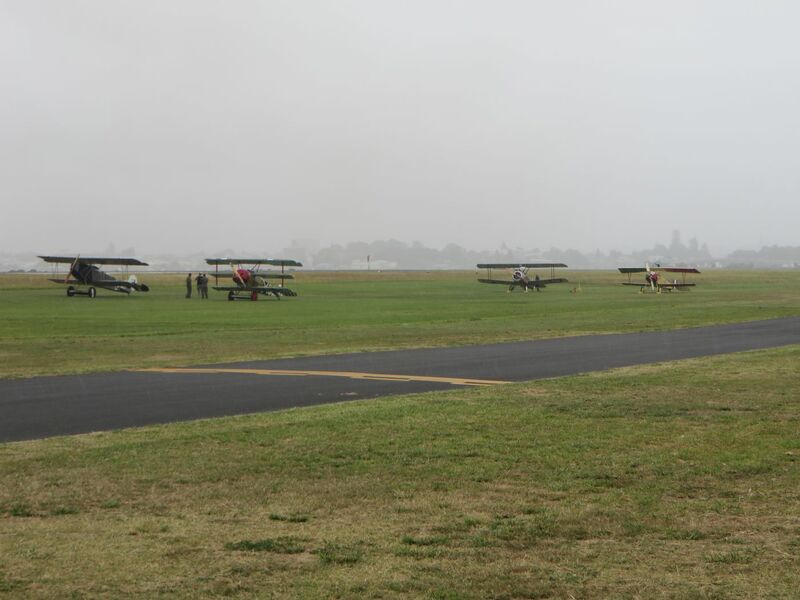 We arrived soon after 9am so managed to park quite close to the front as the display started at 10am and it was also looking like it was going to be quite a wet day. 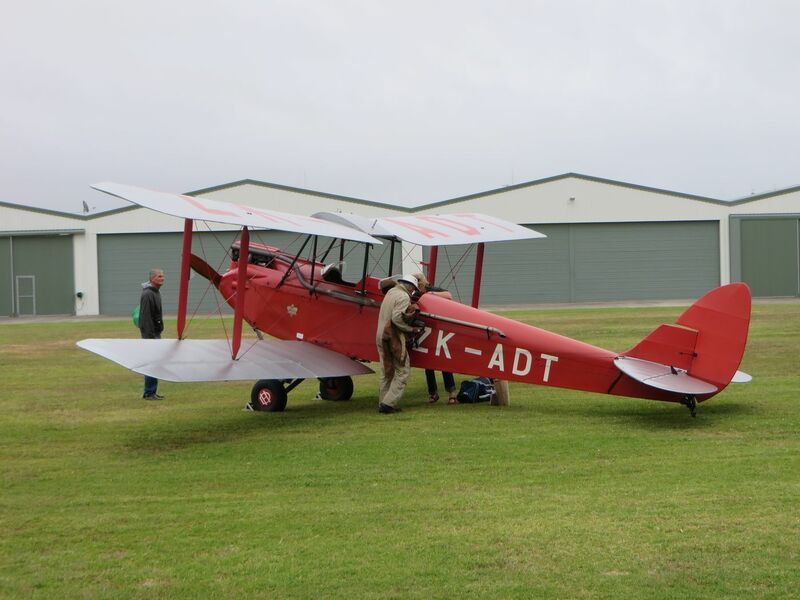 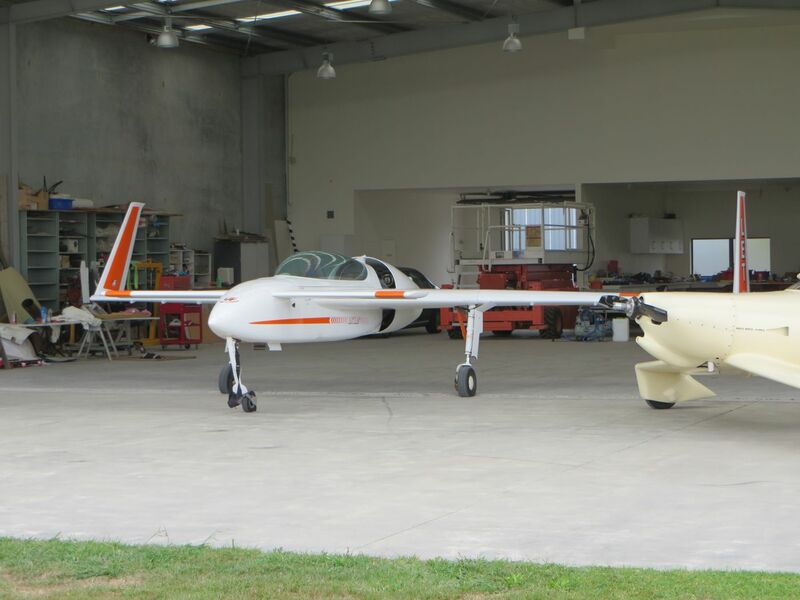 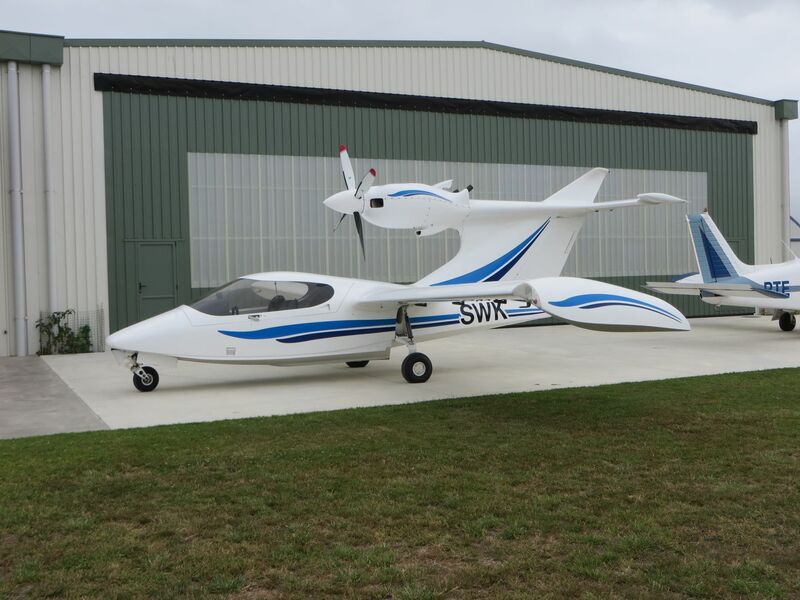 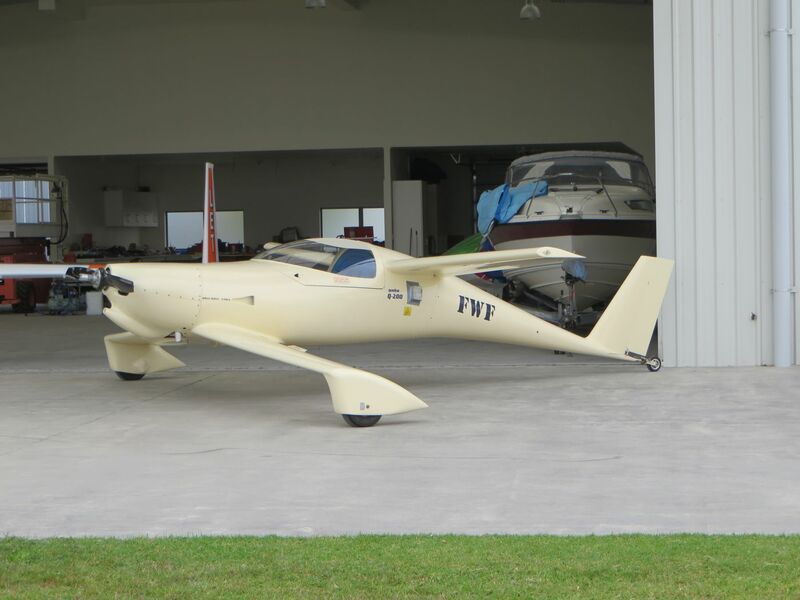 We set up ‘camp’ and went for a wander and found some interesting planes and then Jan and Jerry Chisum. 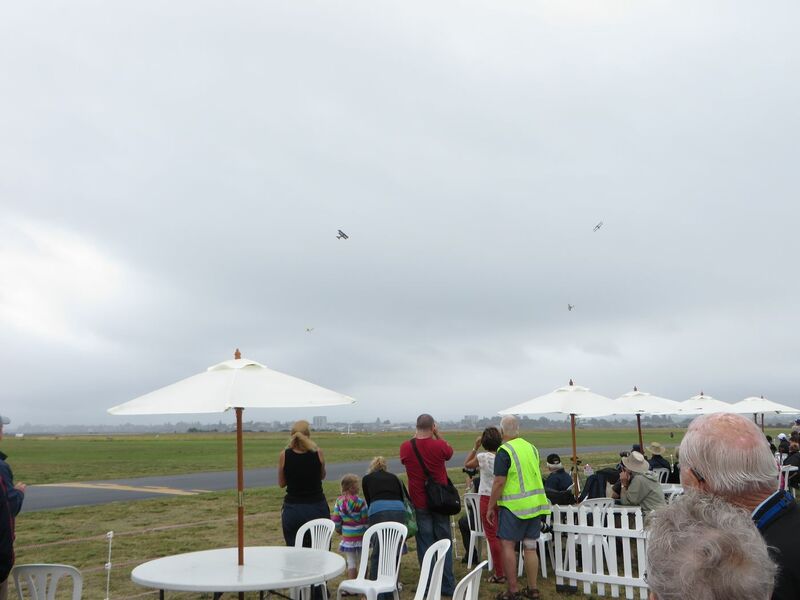 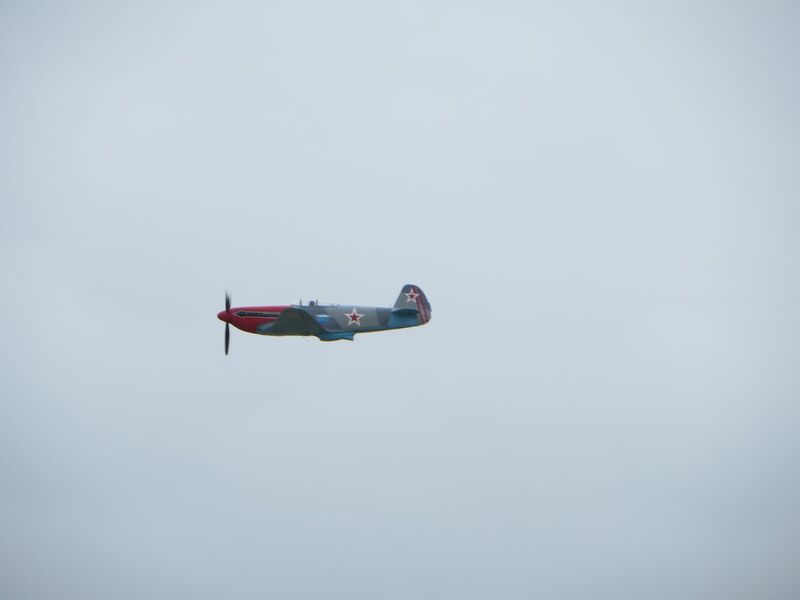 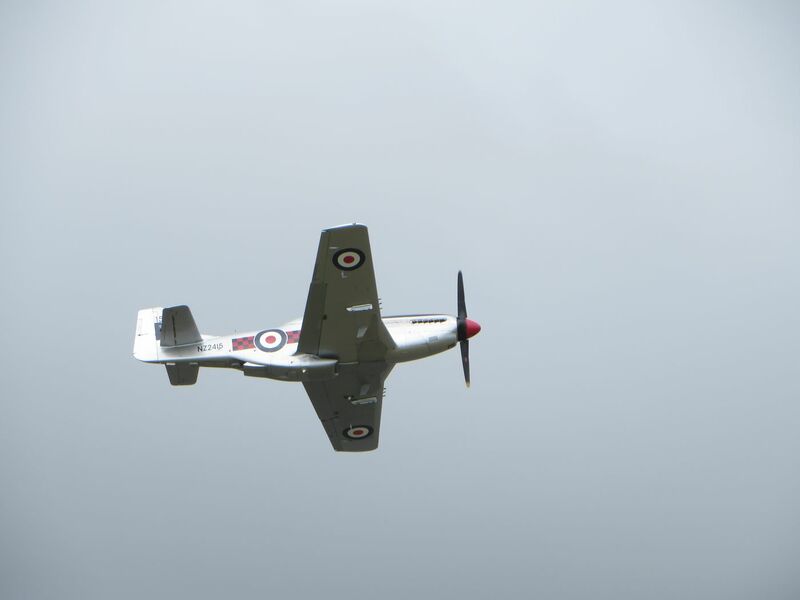 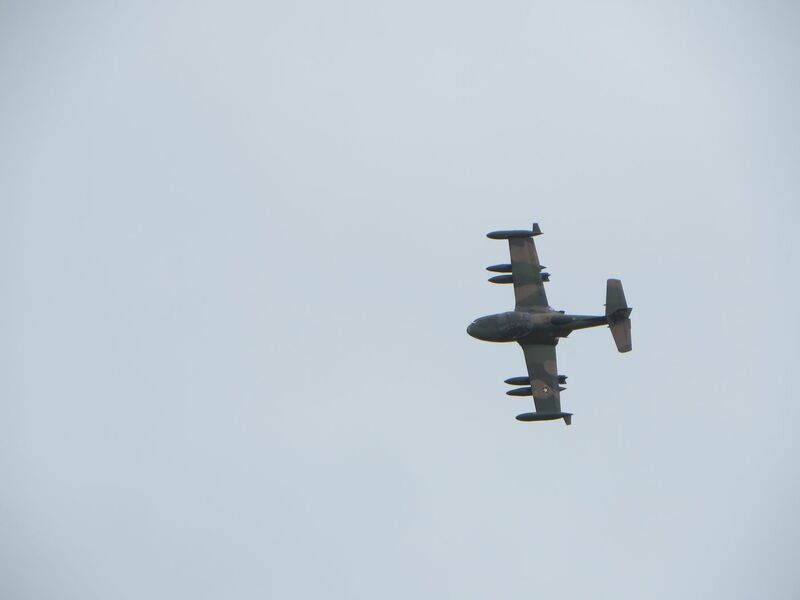 The airshow was interrupted at times with some rain and it always looked threatening. 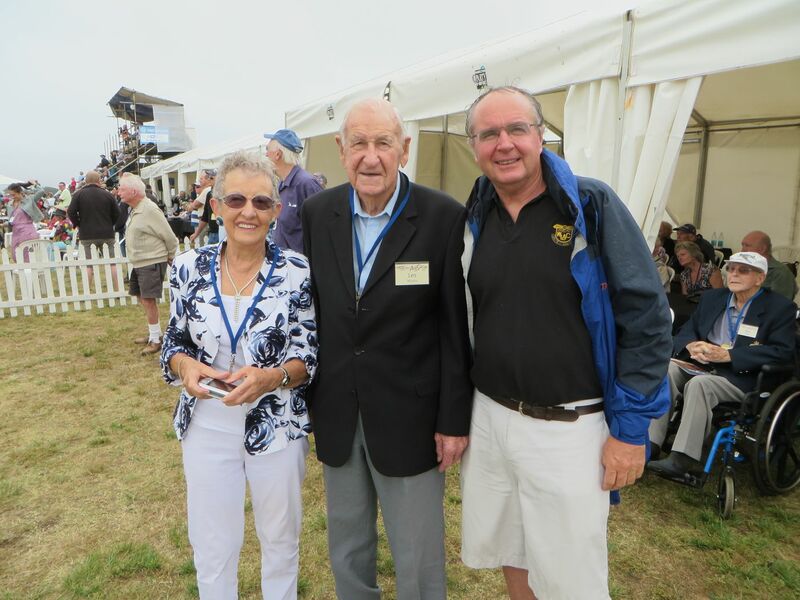 We also managed to meet up with a lady, Christine, whose B&B I stayed at 10 years ago and whose partner is Les Munro, the Dambusters raid pilot. 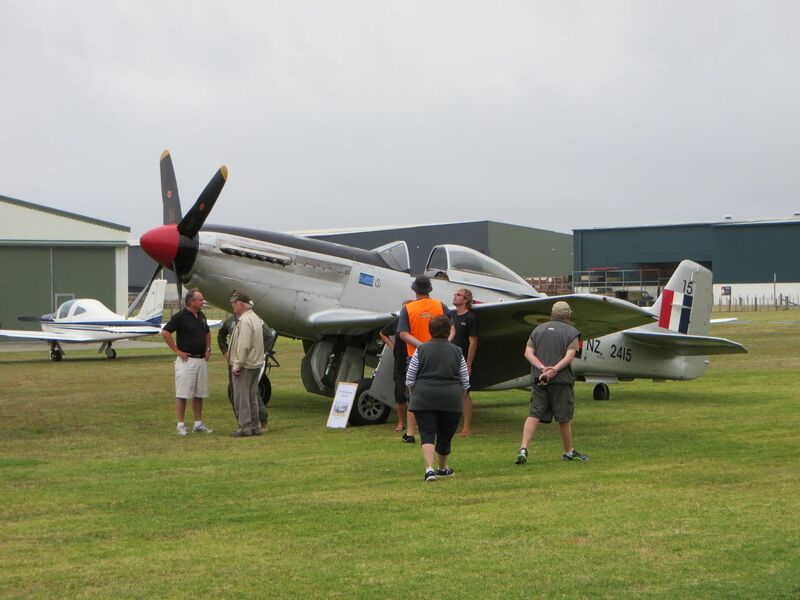 Noel and Max with Graham Bethell and the Mustang. 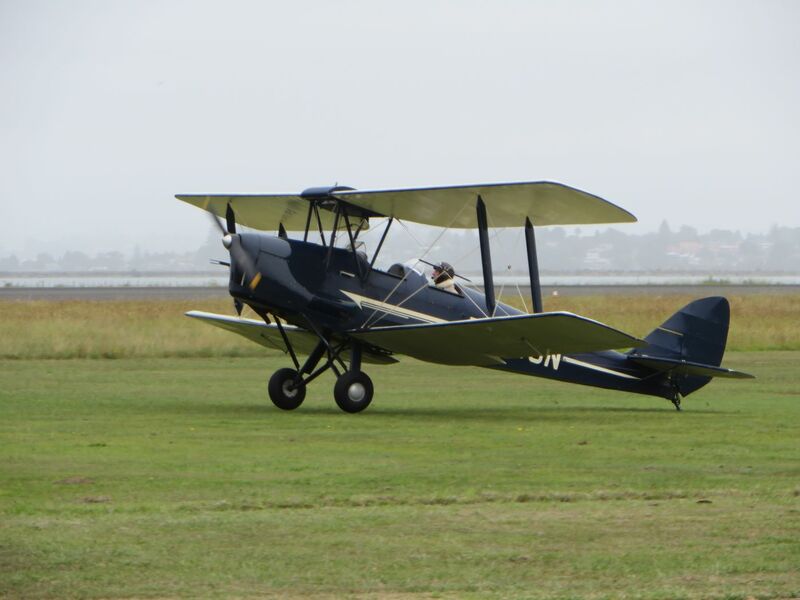 Jerry and Jan sorting out the Gipsy Moth. 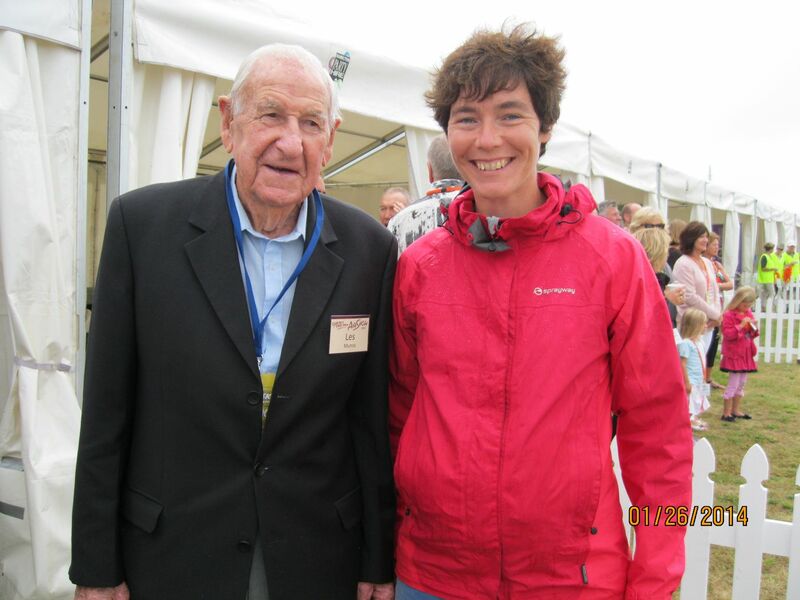 Christine Ross, Les Munro and Noel. 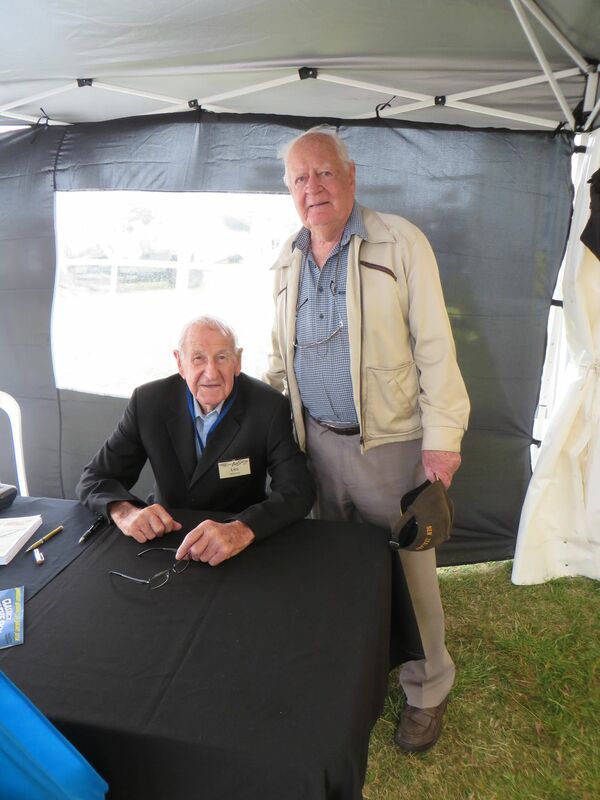 Les Munro DSO DFC mid and Max Collett mid. 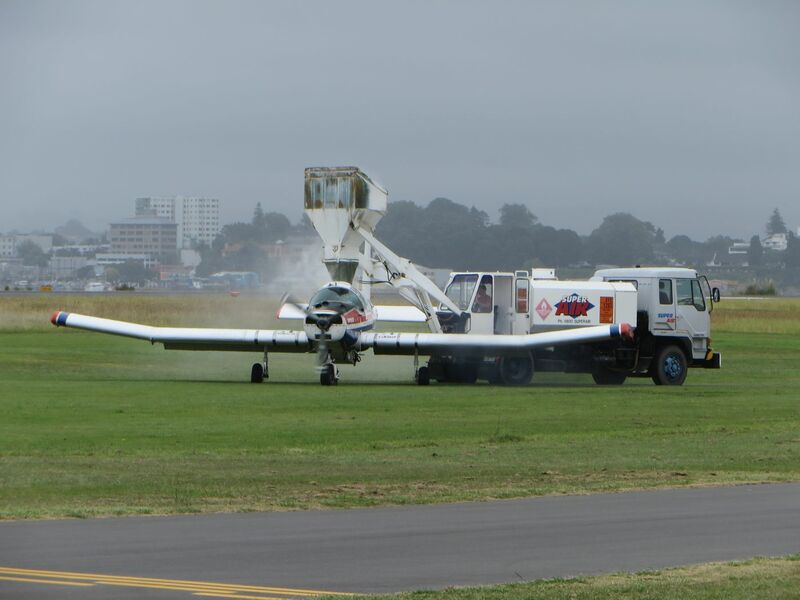 An interesting effect with the prop wash and condensation. 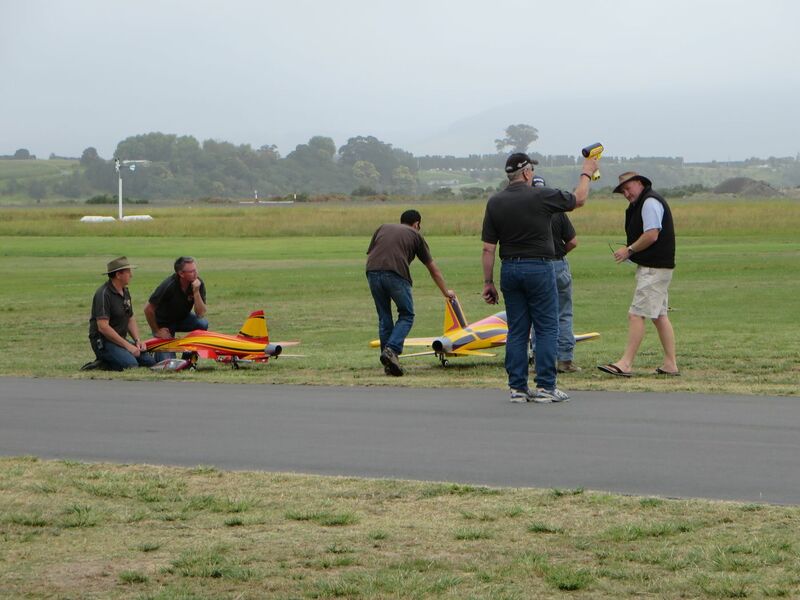 They displayed some very fast model jet planes. 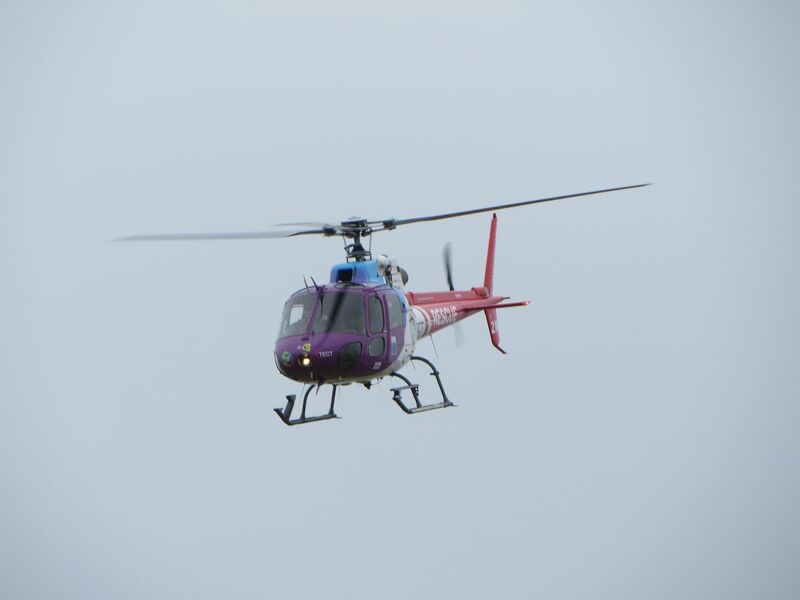 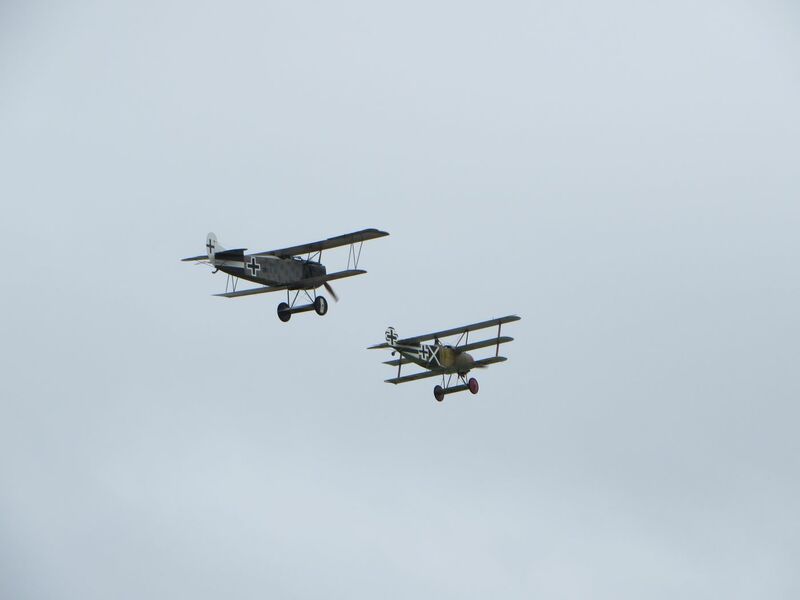 I didn’t even bother to try to get airborne photos of them! 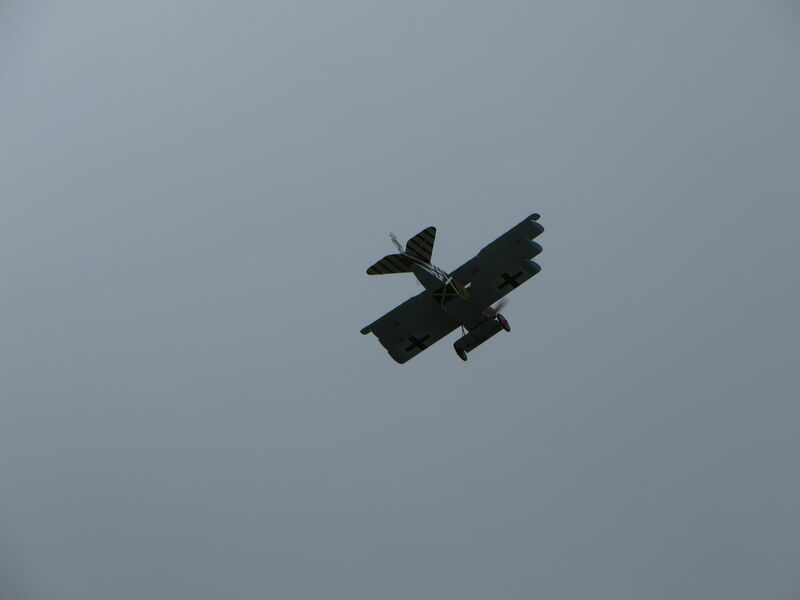 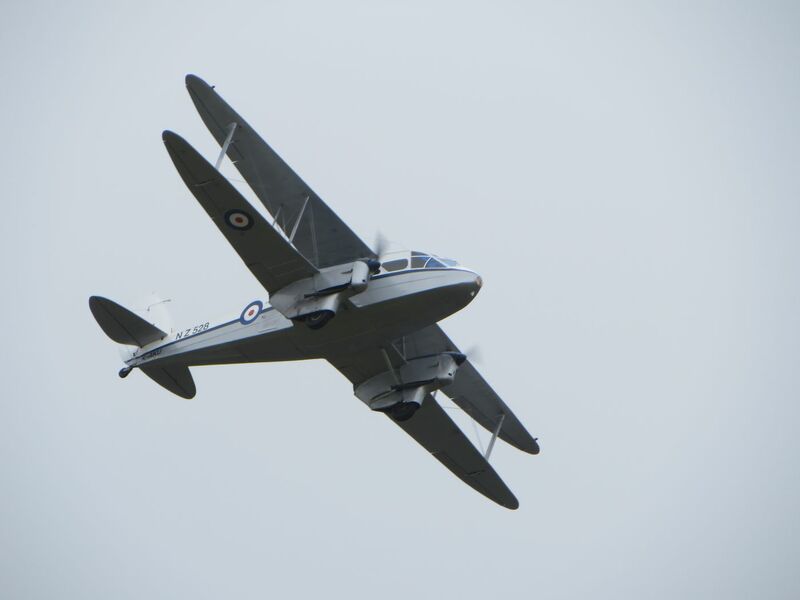 Once again, an interesting effect with the prop wash and condensation. 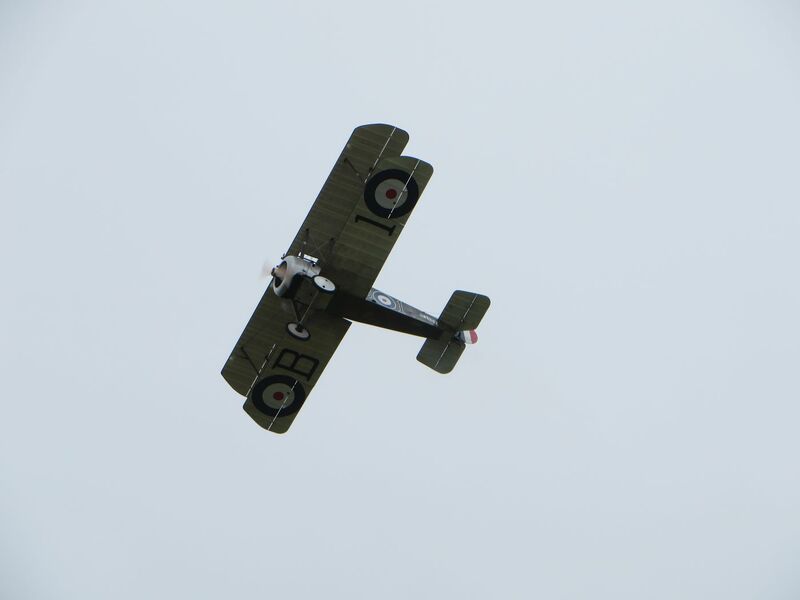 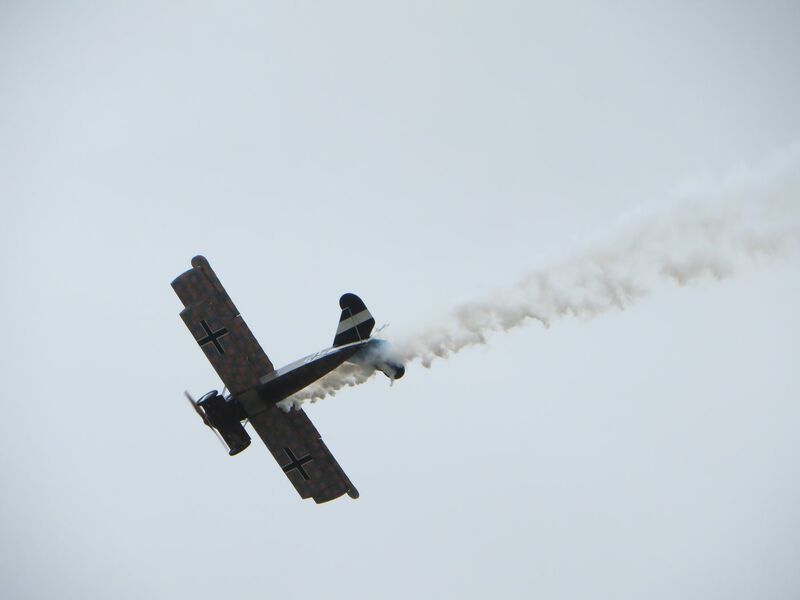 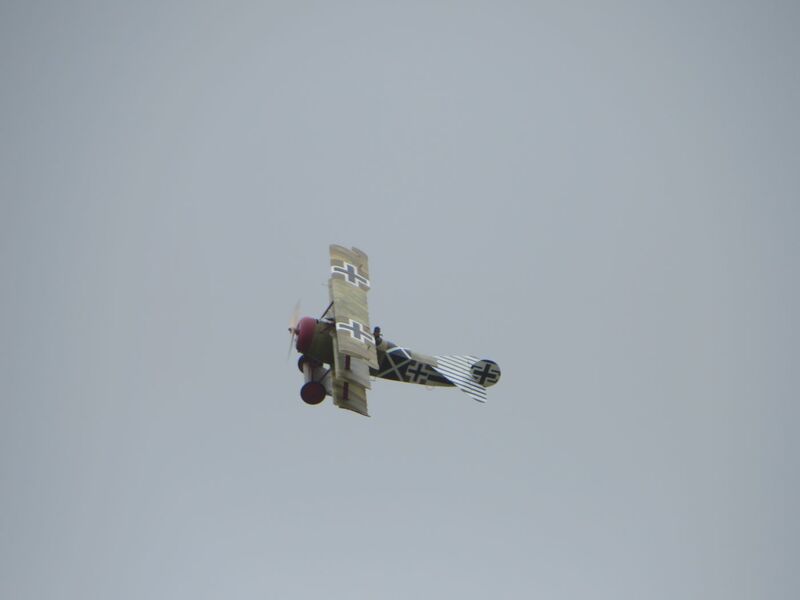 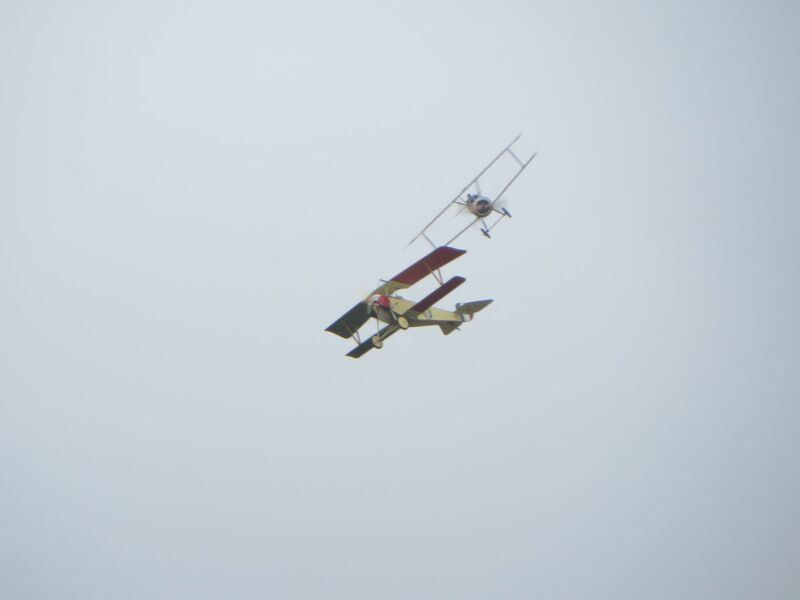 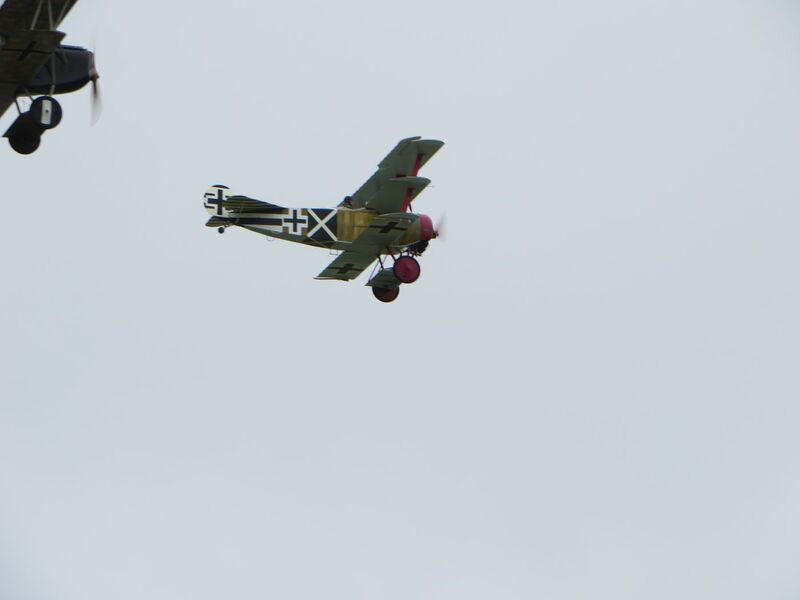 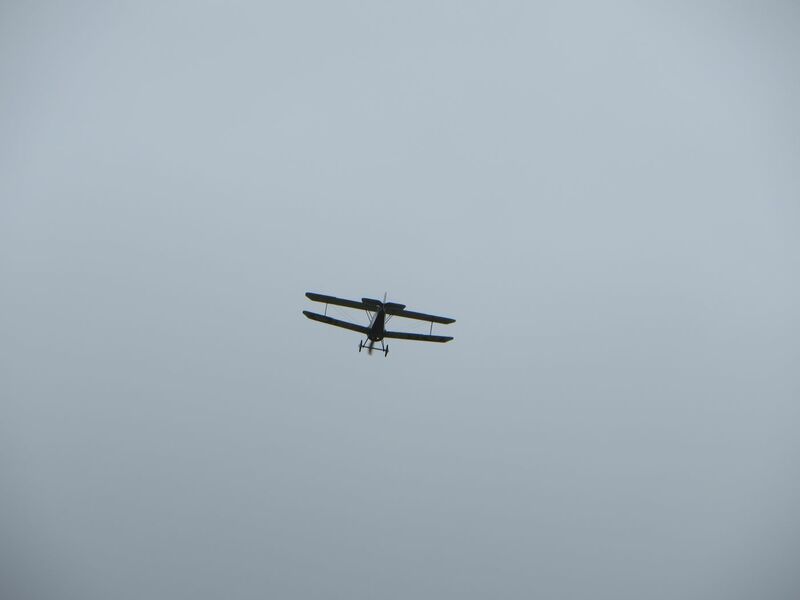 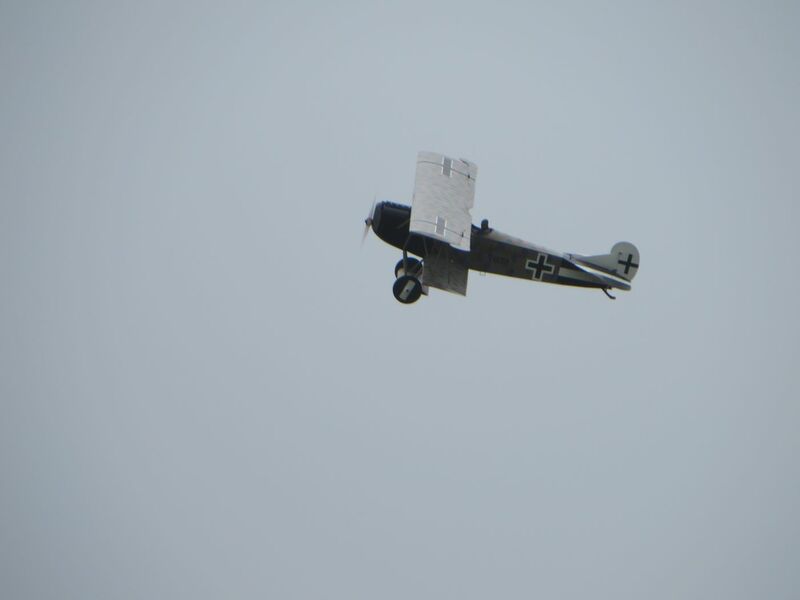 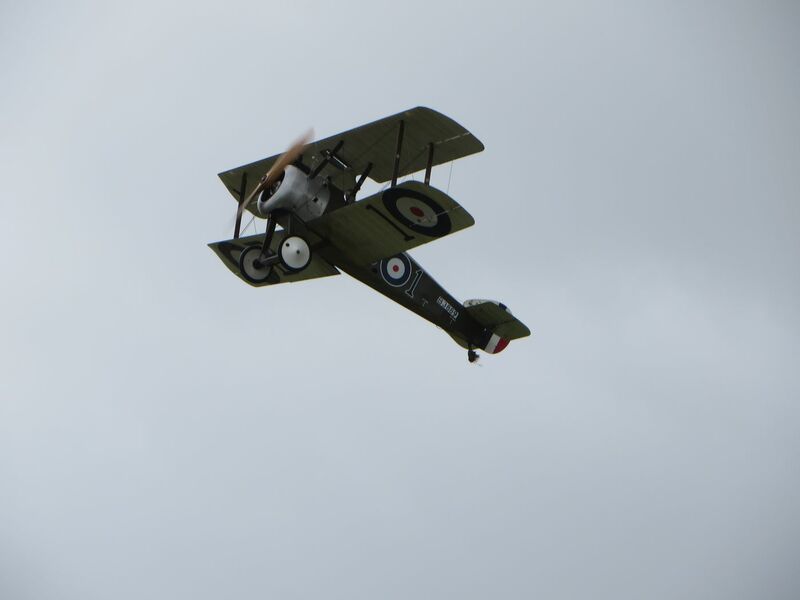 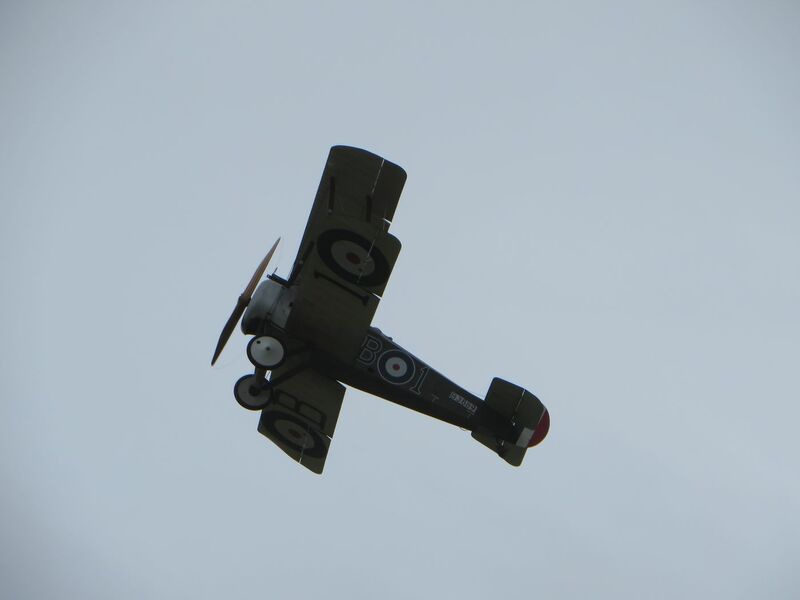 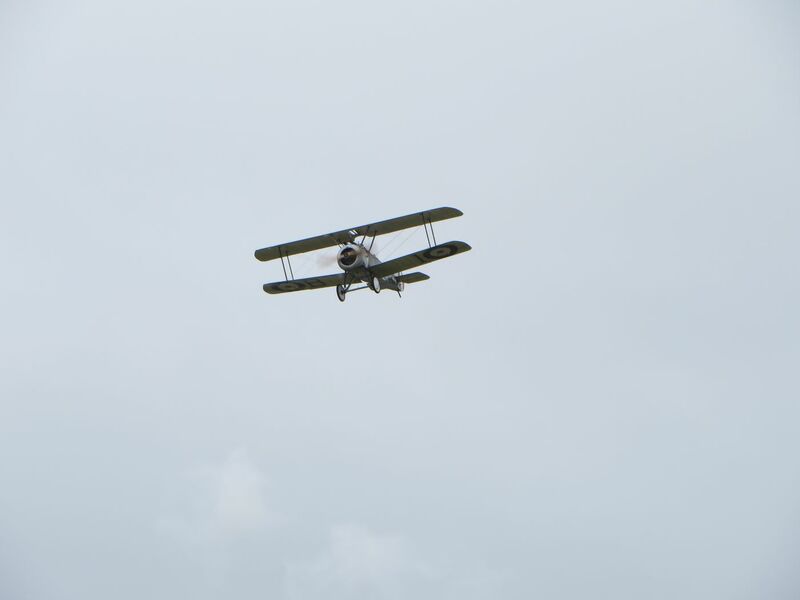 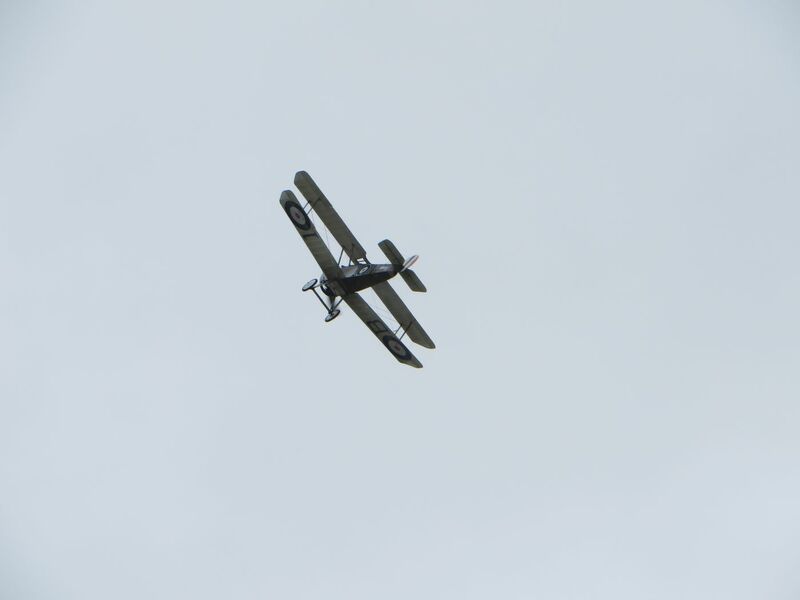 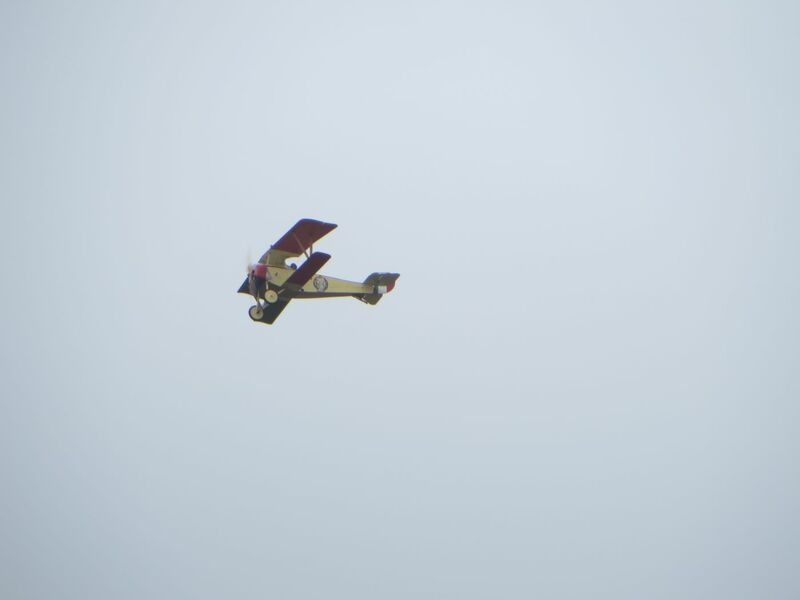 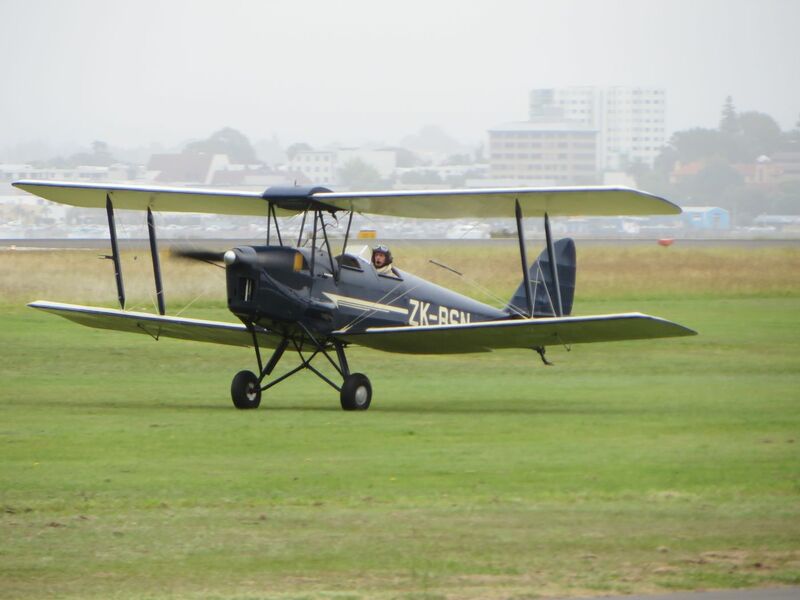 The Tiger Moth (Dave Phillips) gave a magnificent display. 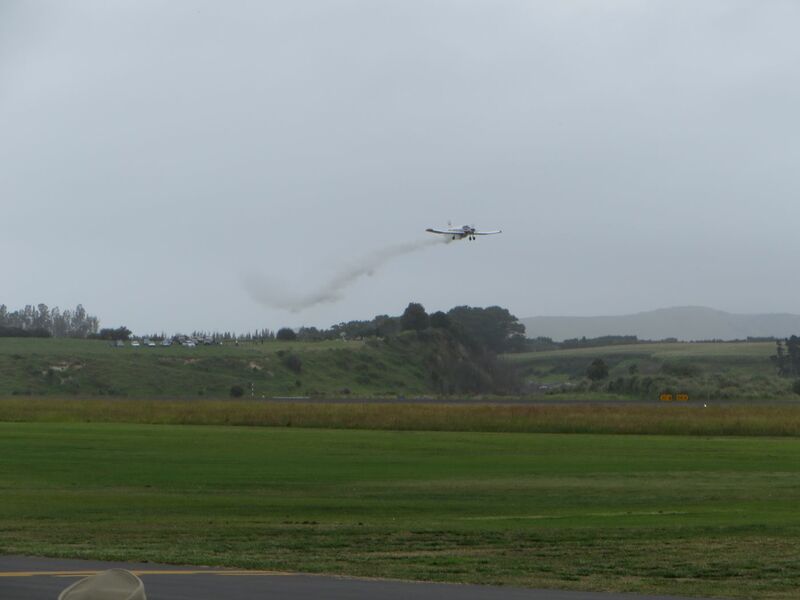 There was a stunt at the end involving a race between a fast car on the ground and the speed of dropping the car to the ground. 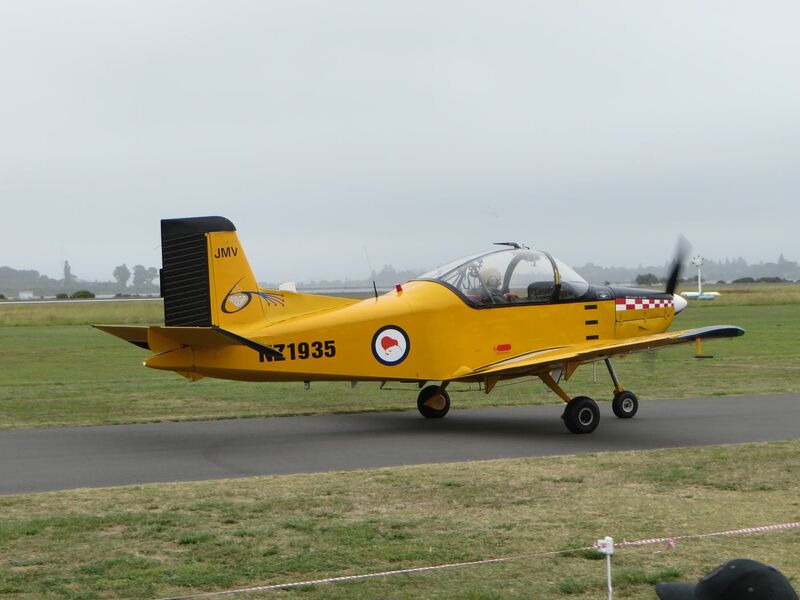 After the airshow we went back to Peter and Jeanette’s, met a friend of theirs and had a good evening. 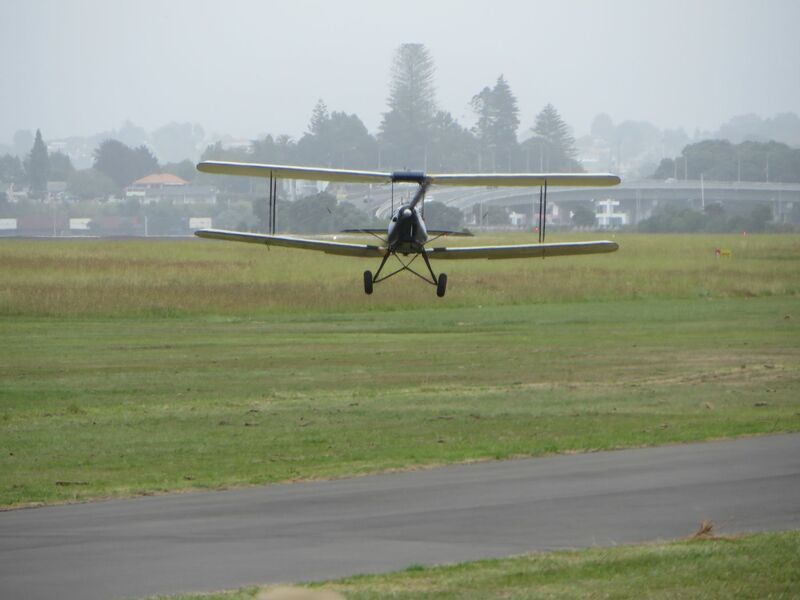 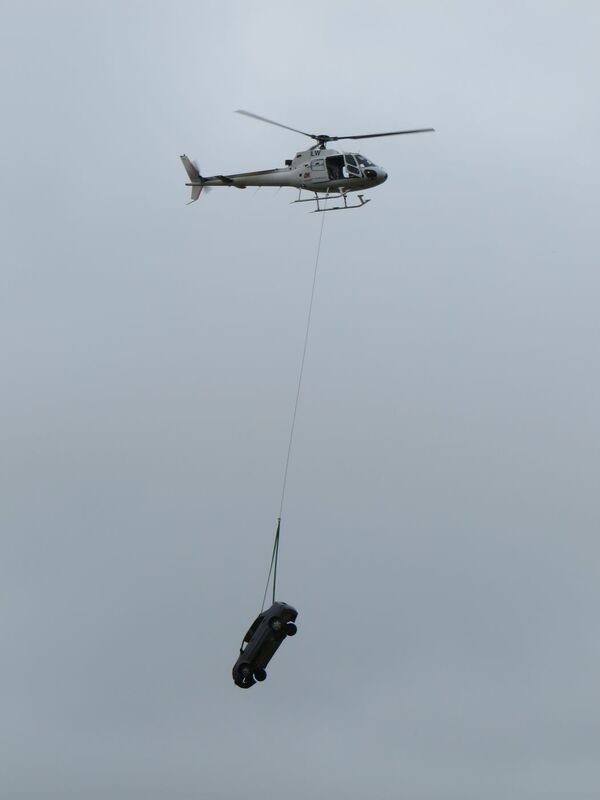 We agreed to accompany Jeanette up Mt Maunganui at 7am next morning. 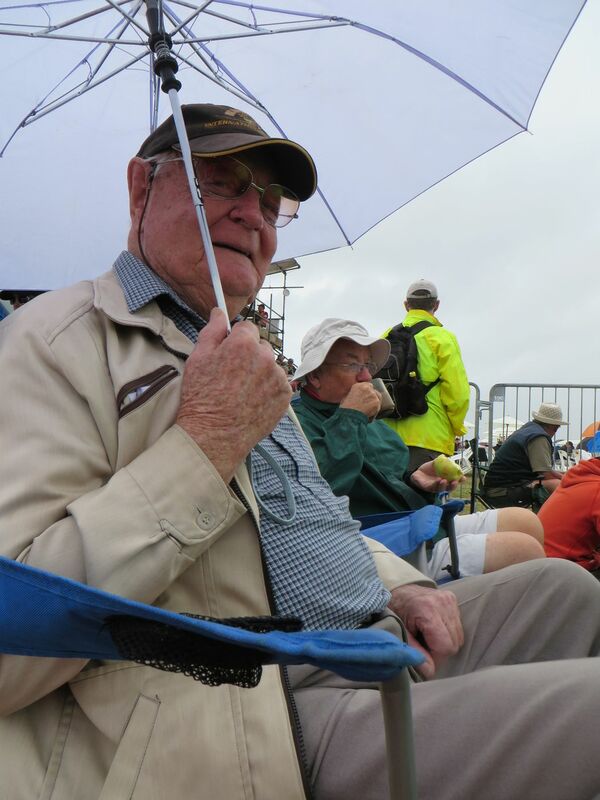 I’d like to say the sun had got to us but although we did have some sun today we were rained on more! 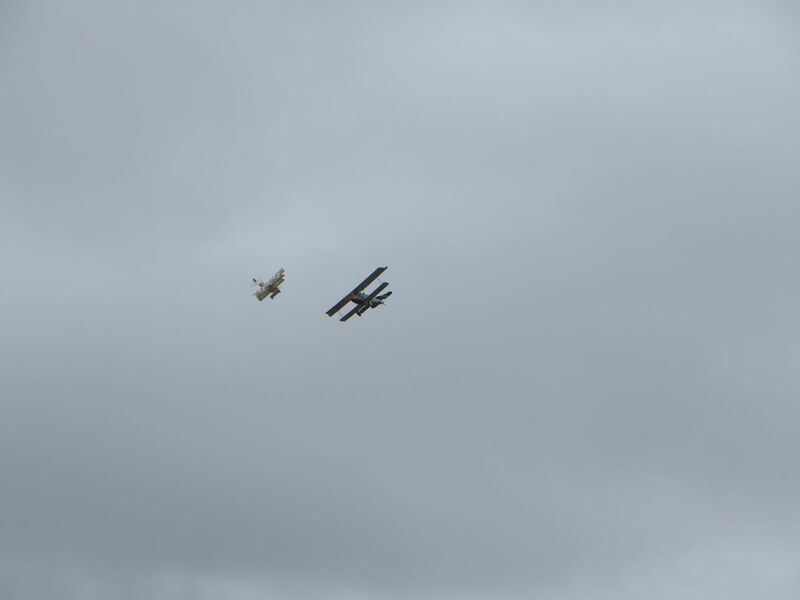 Hello You two, just been looking at all your lovely pics. 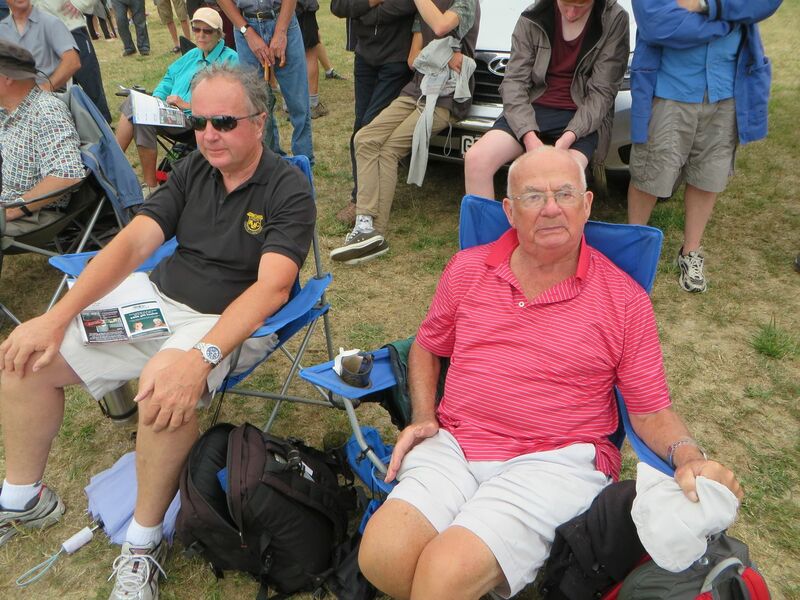 You’re obviously having a great time, looks fantastic. 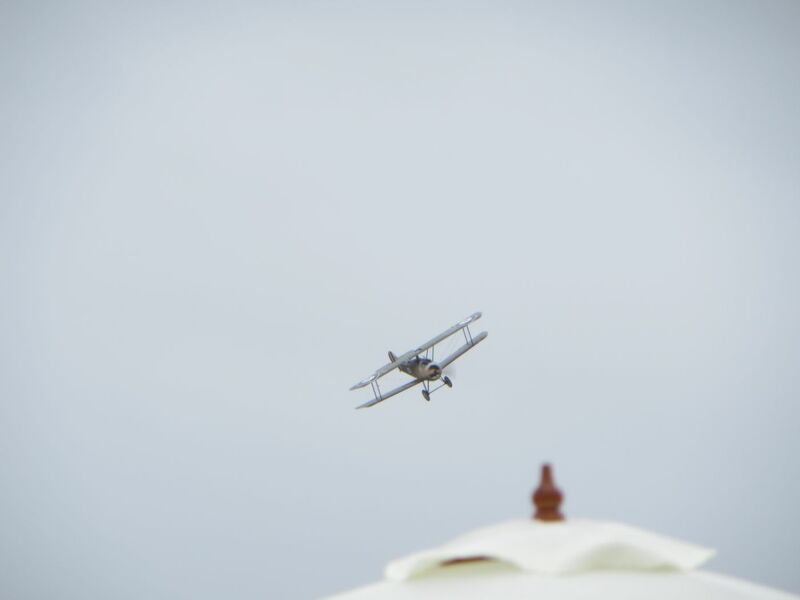 Al the best of everything for your wedding.